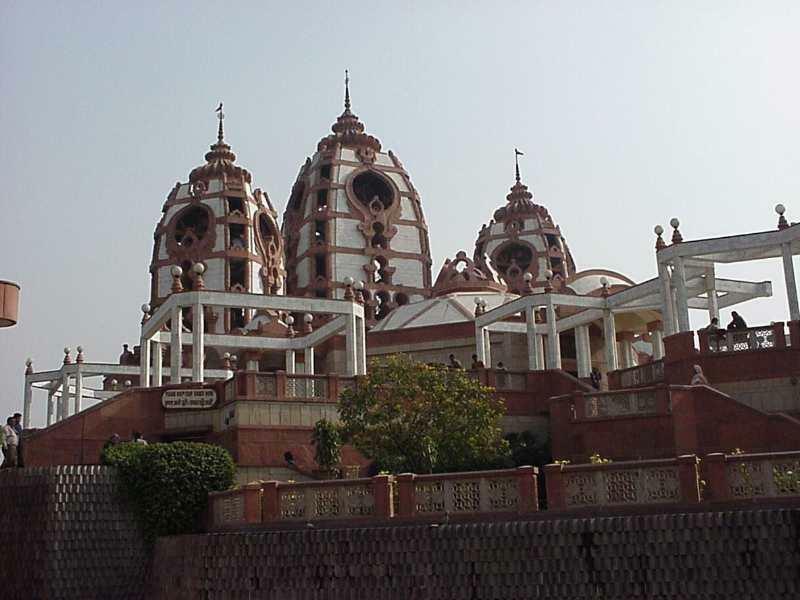 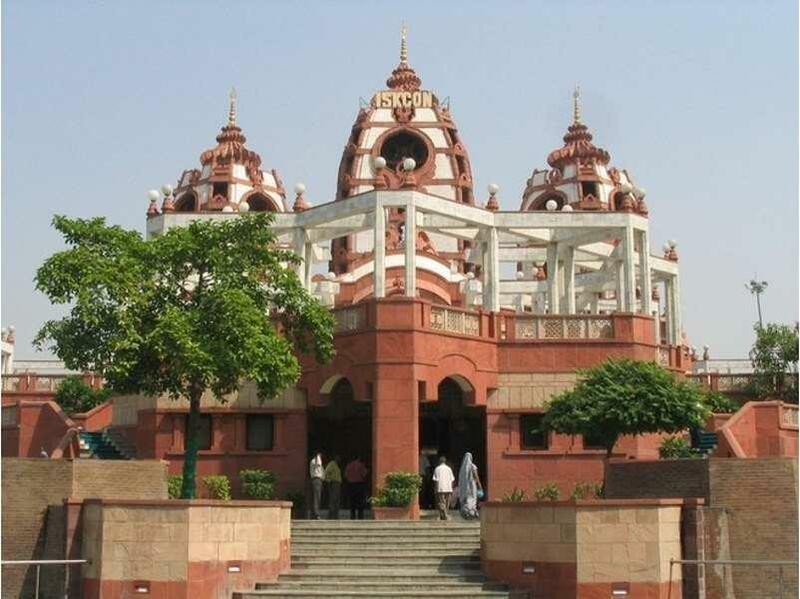 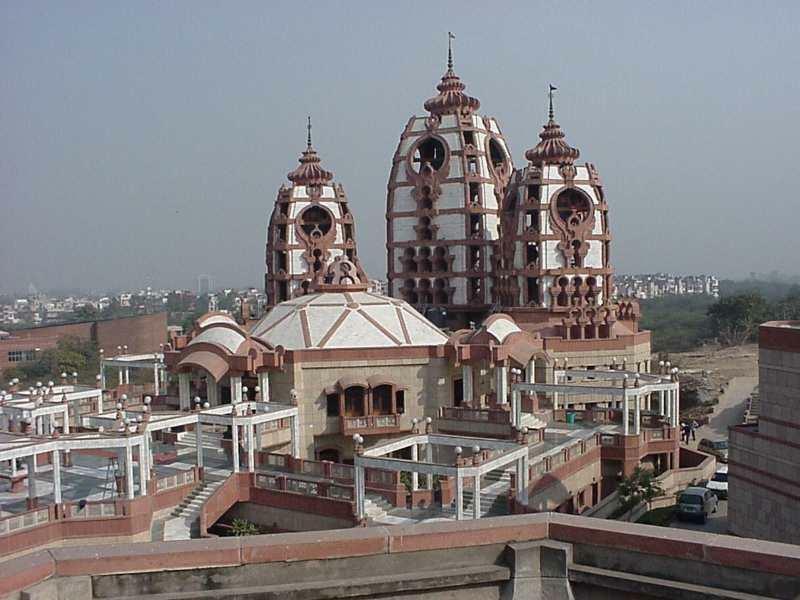 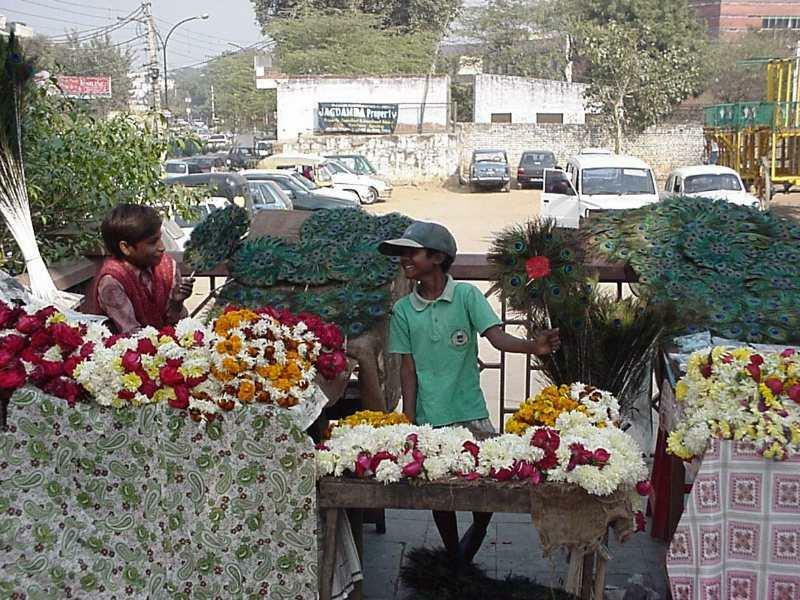 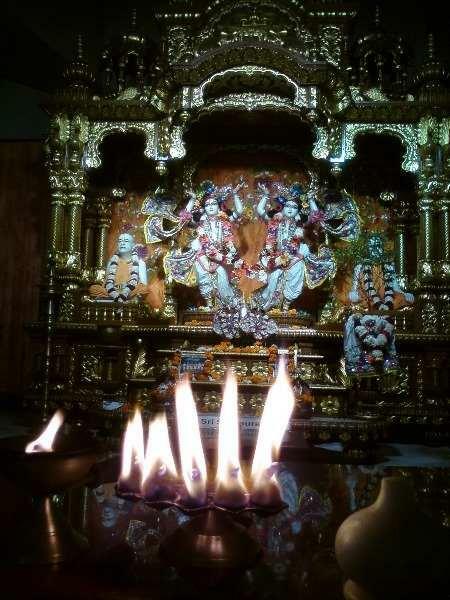 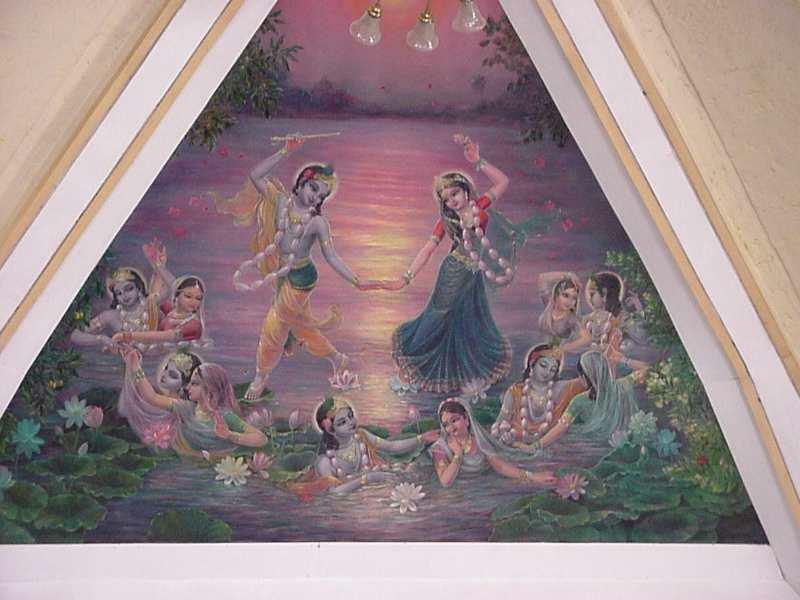 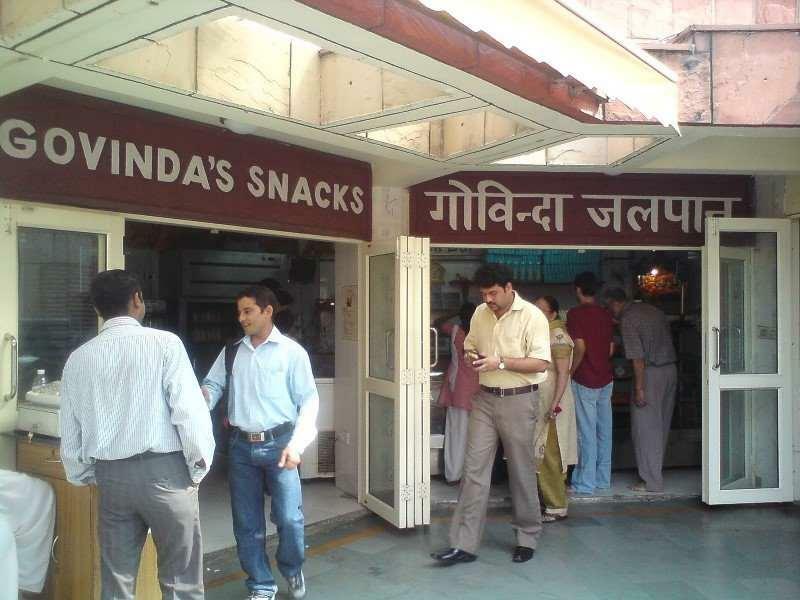 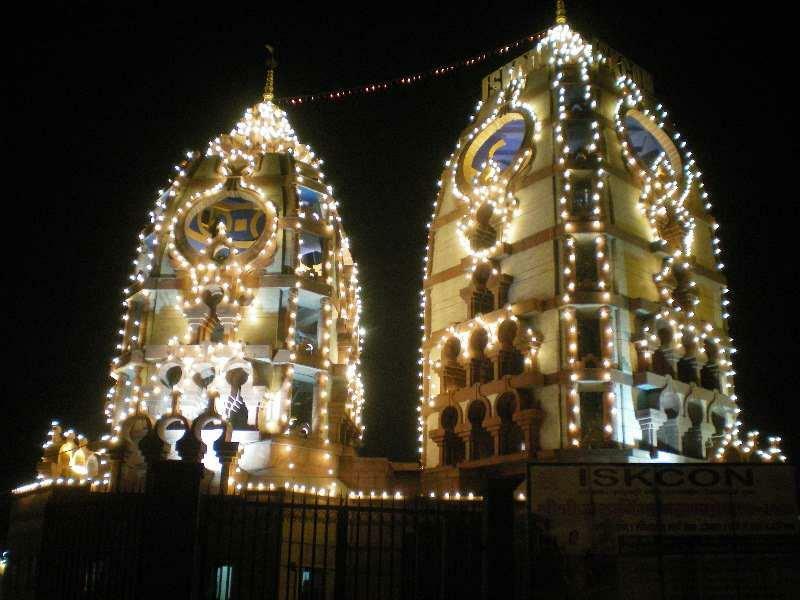 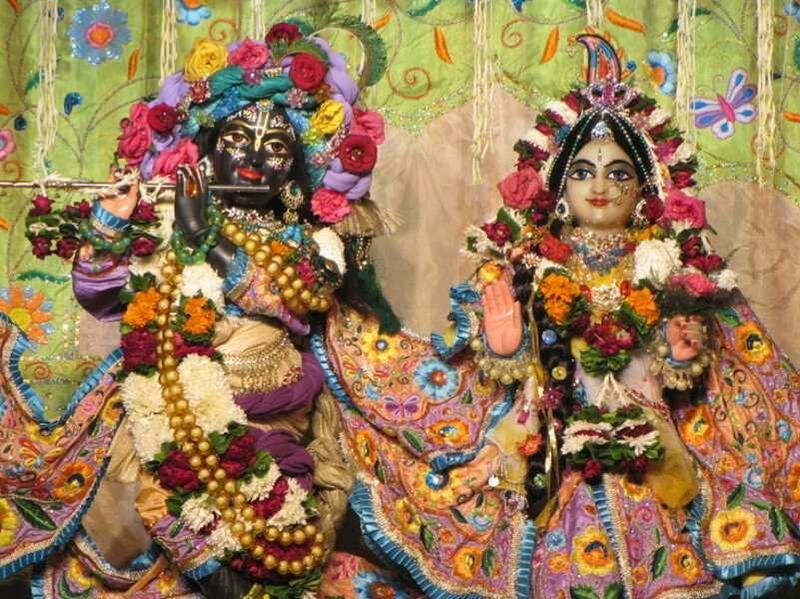 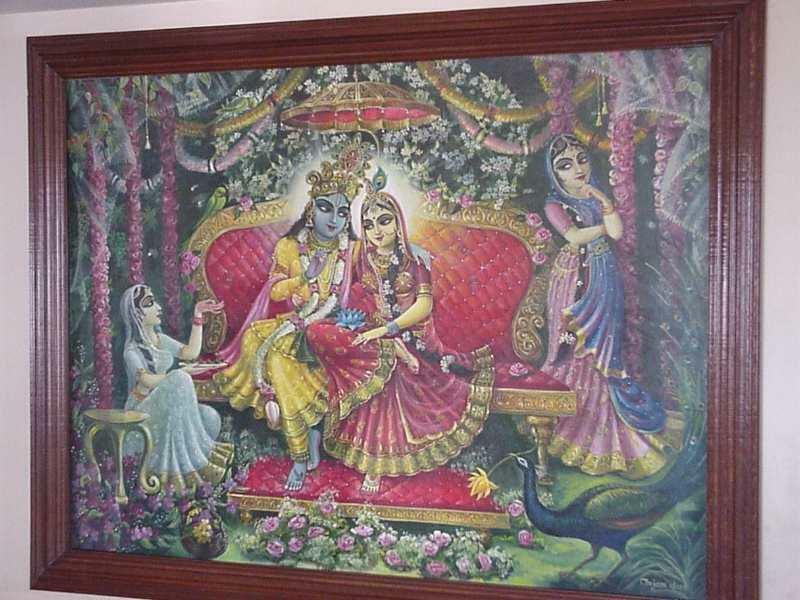 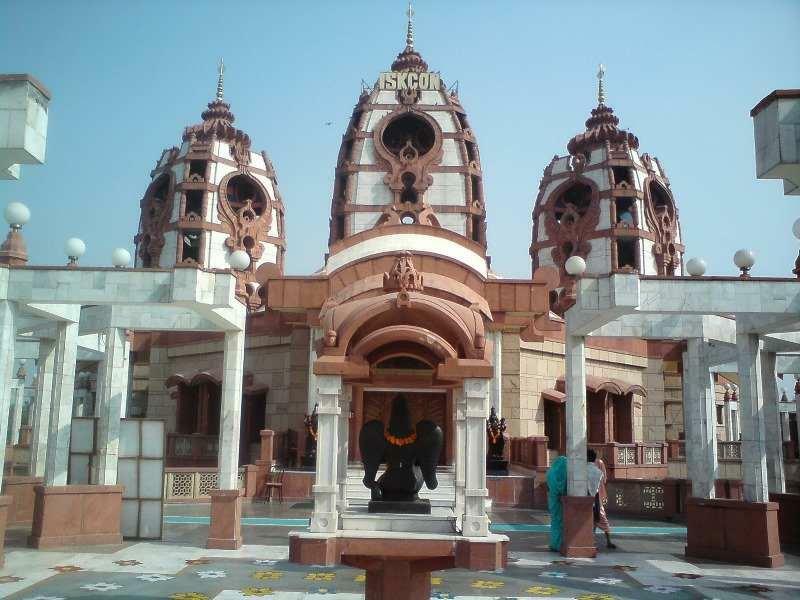 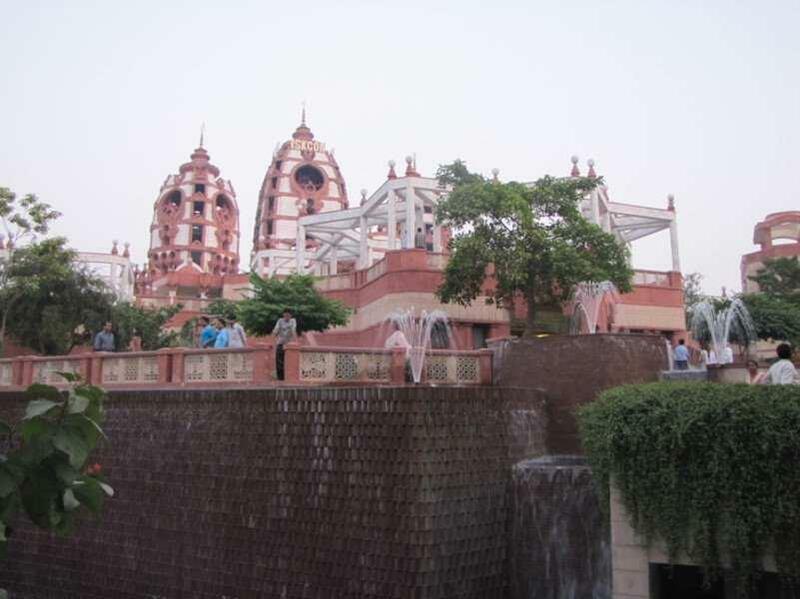 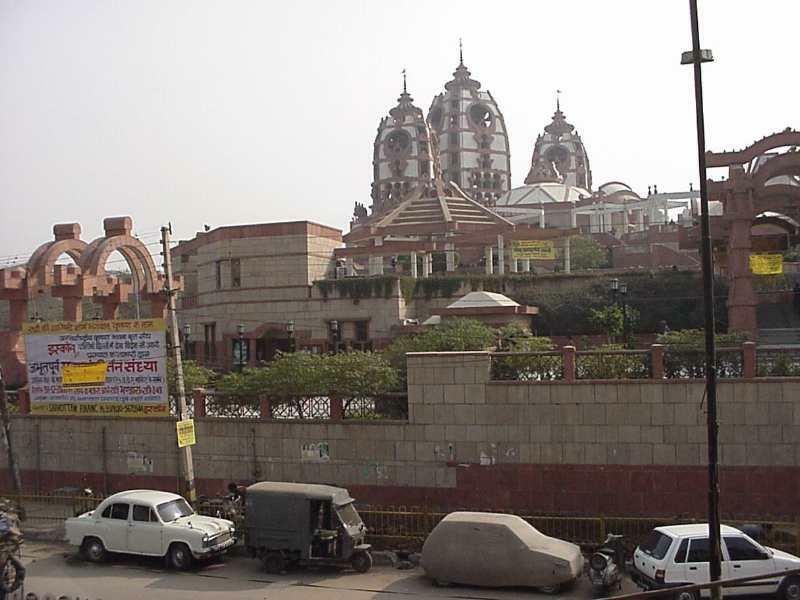 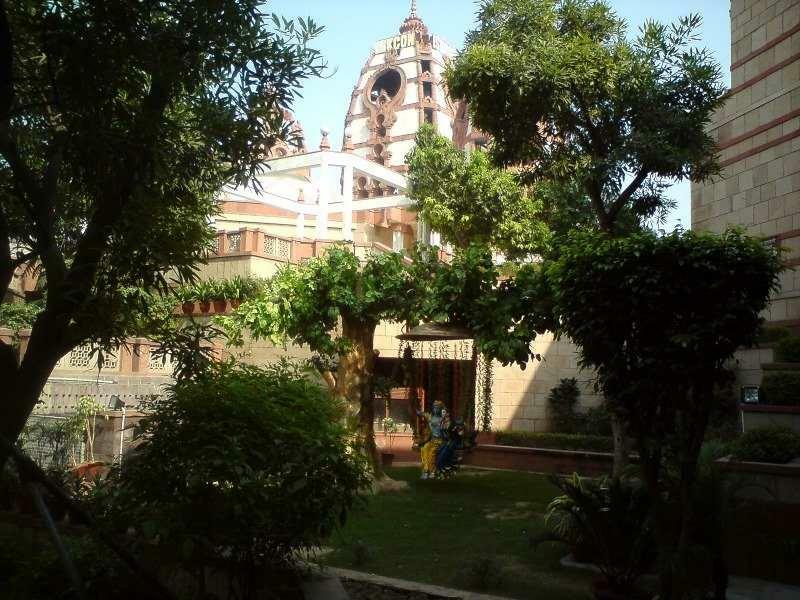 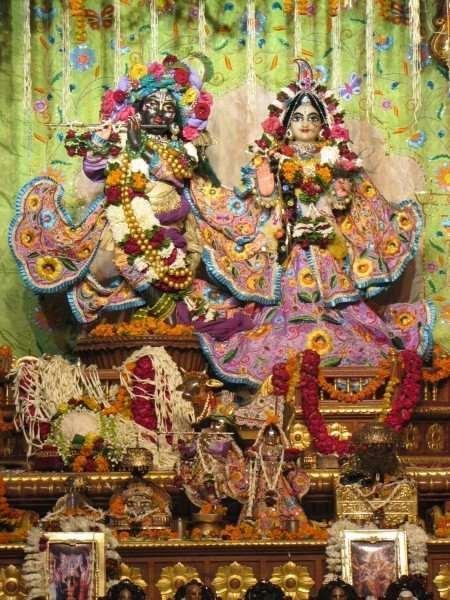 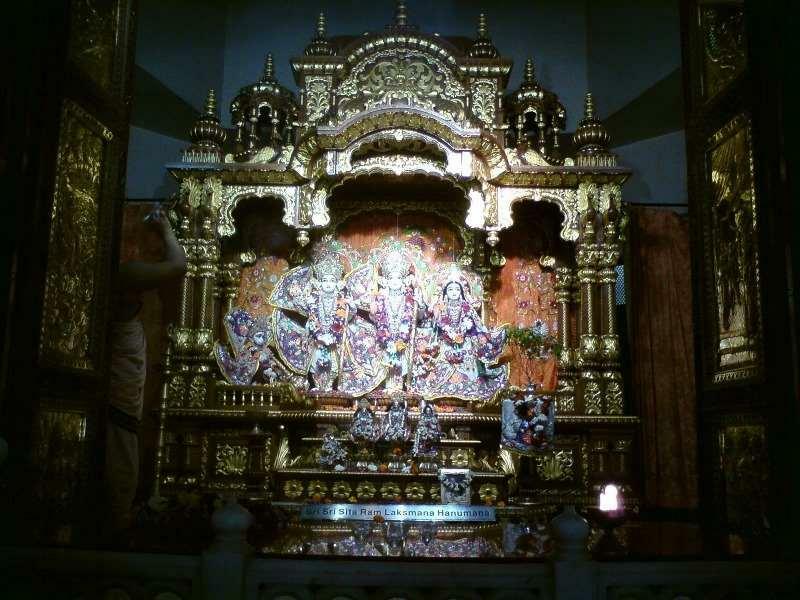 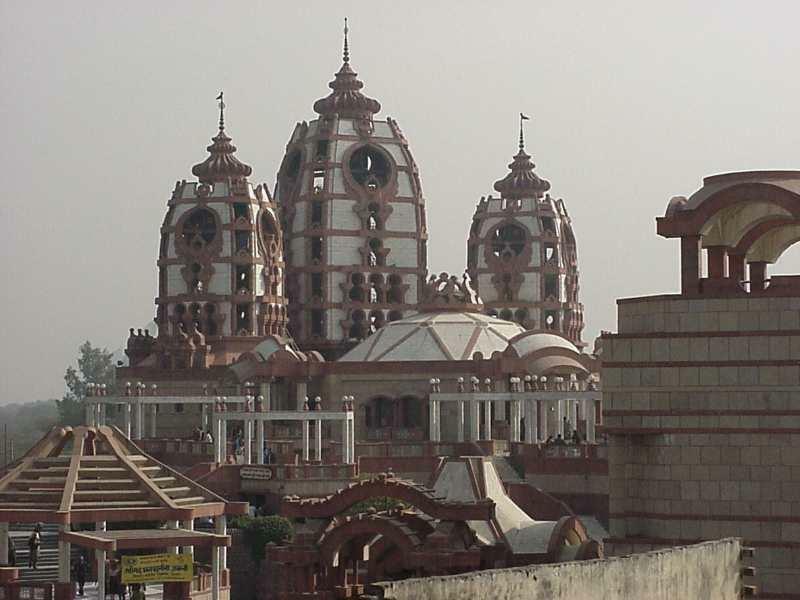 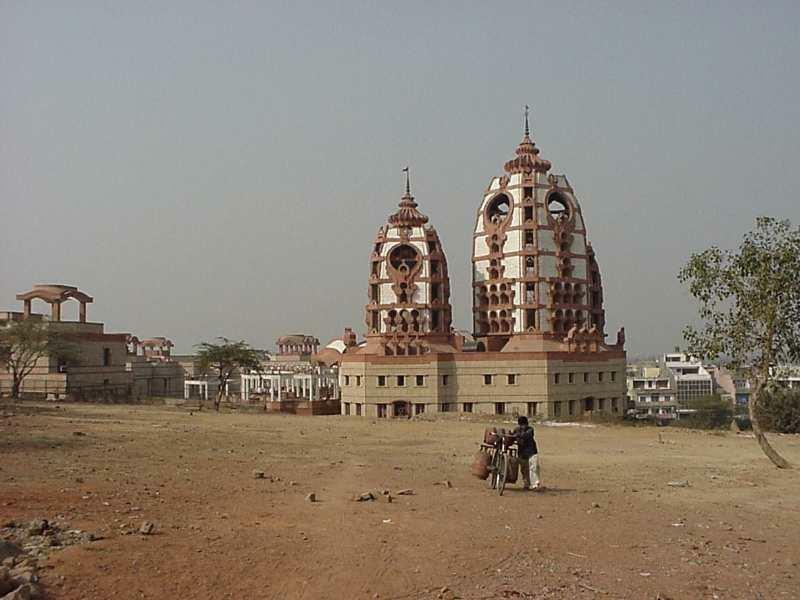 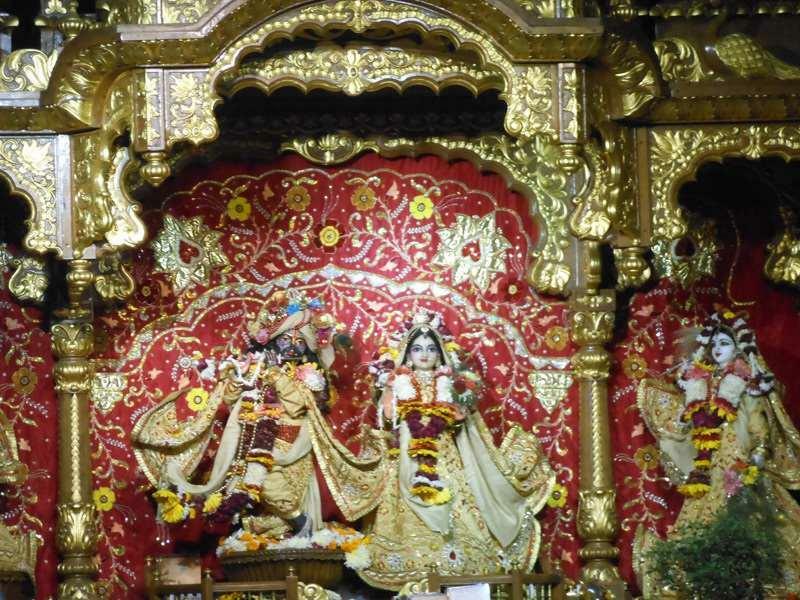 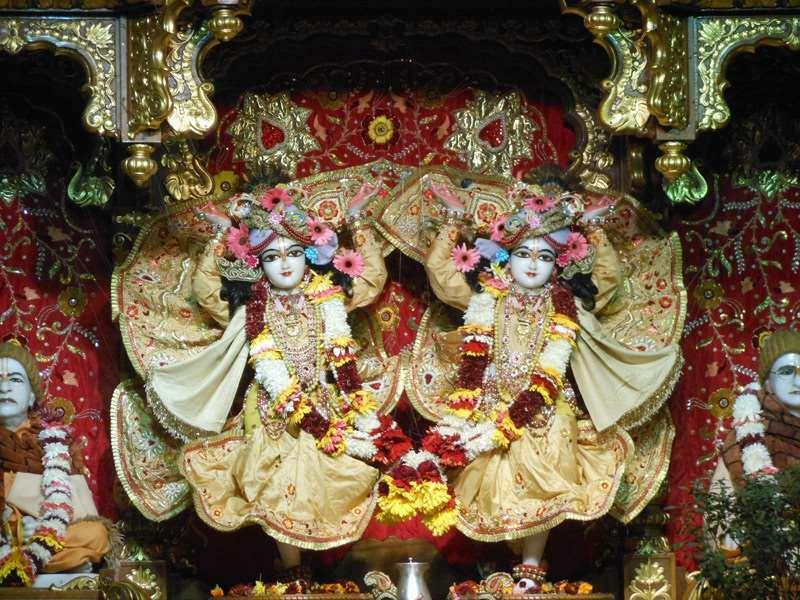 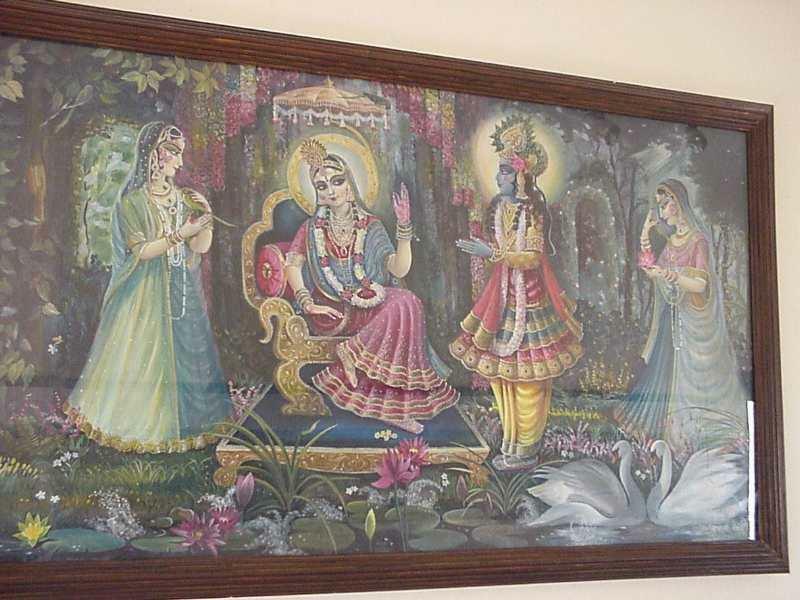 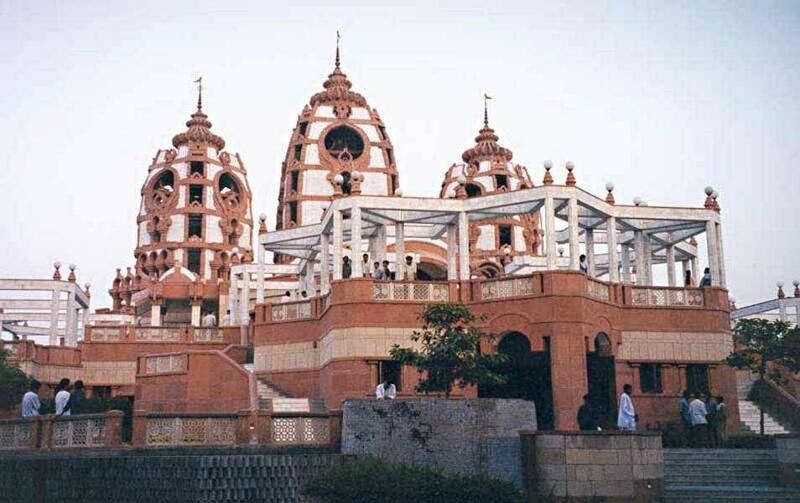 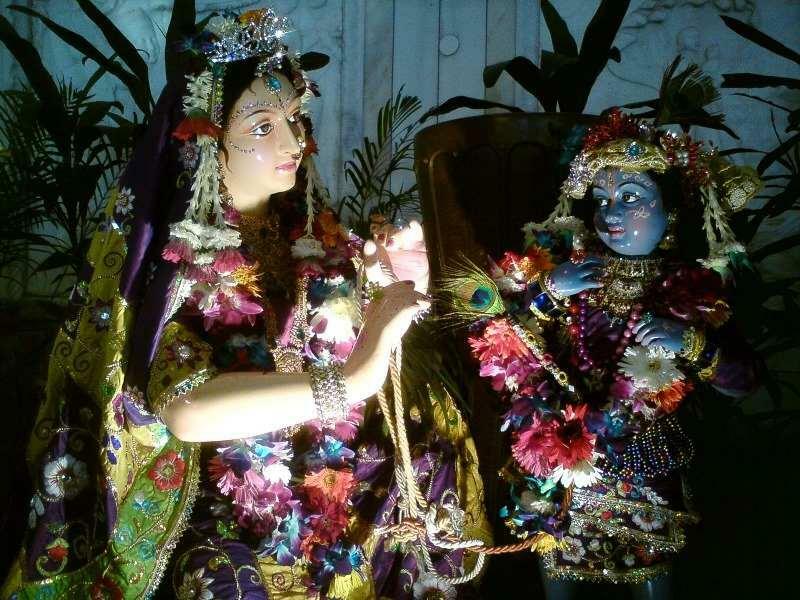 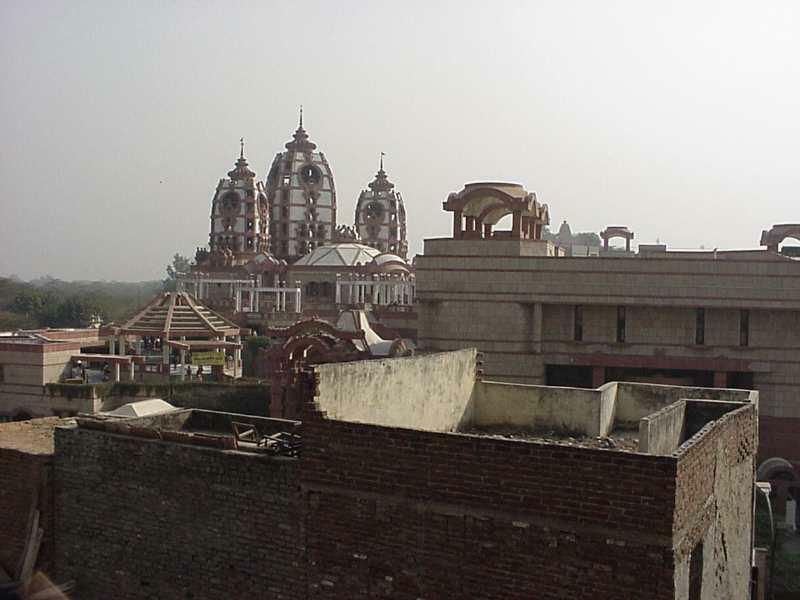 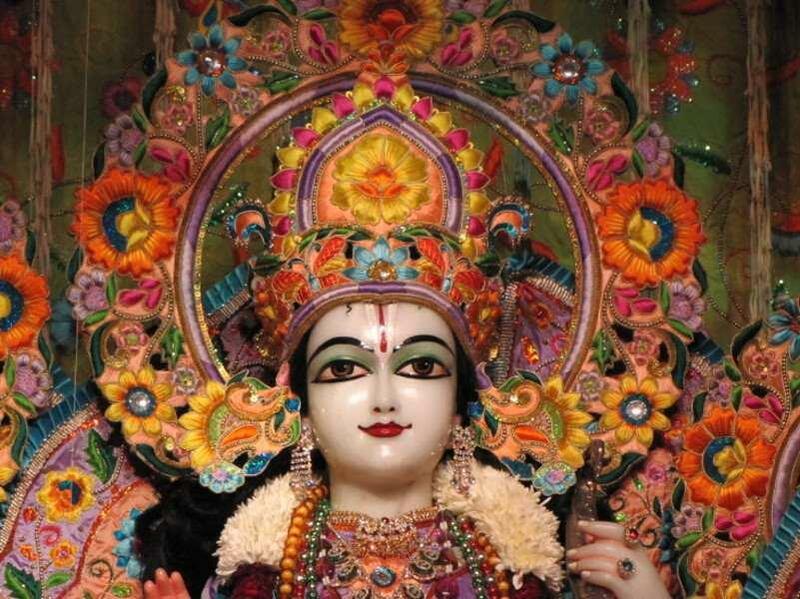 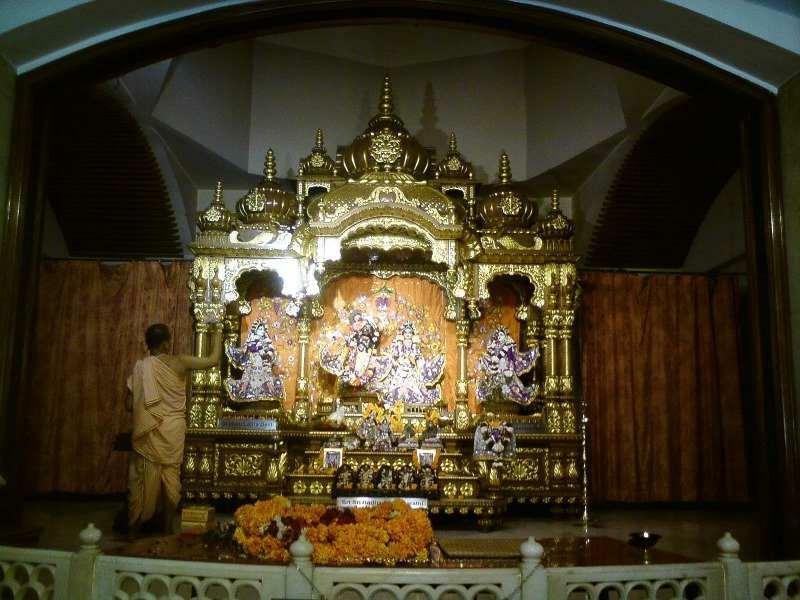 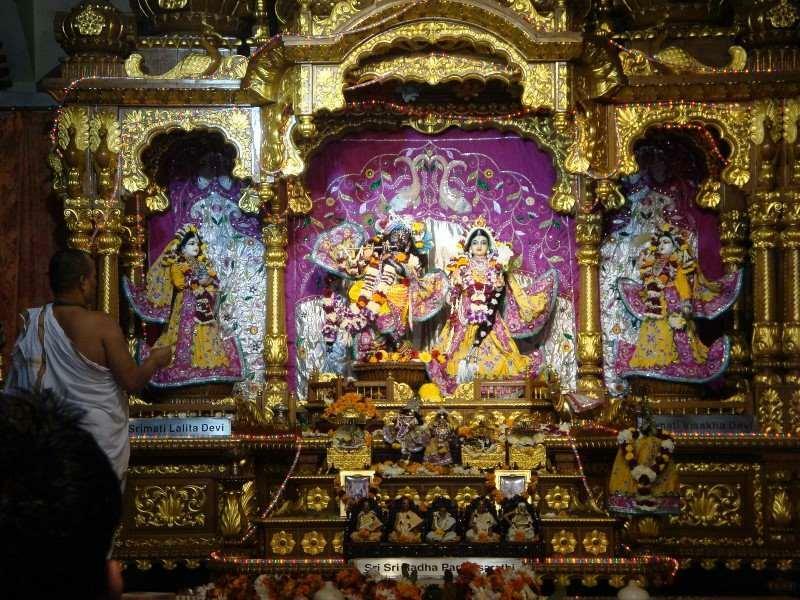 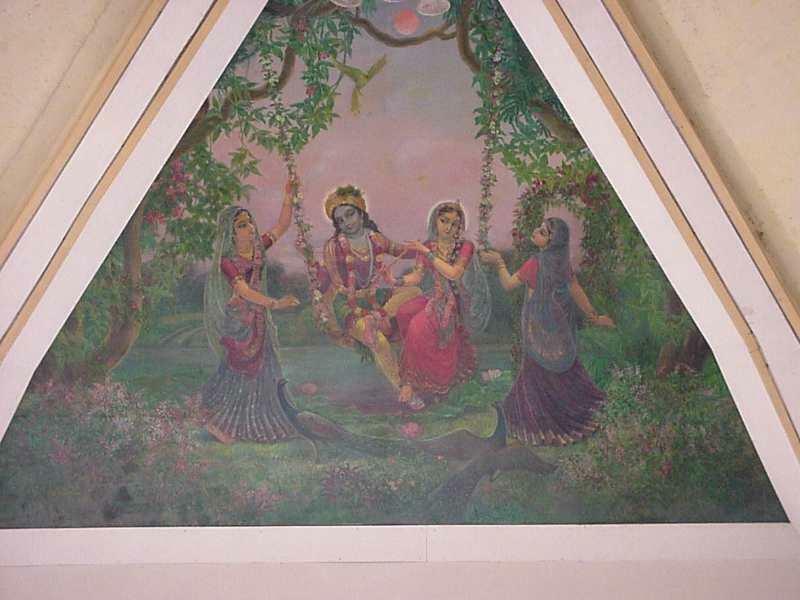 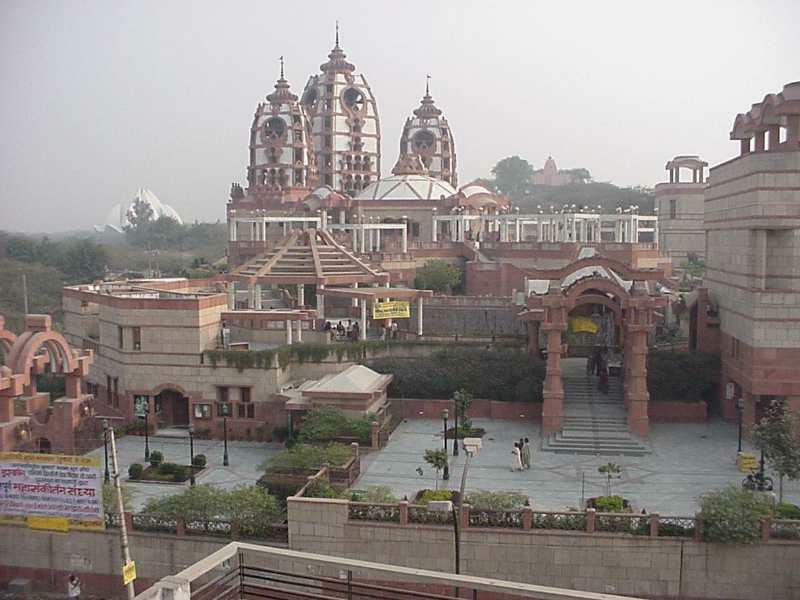 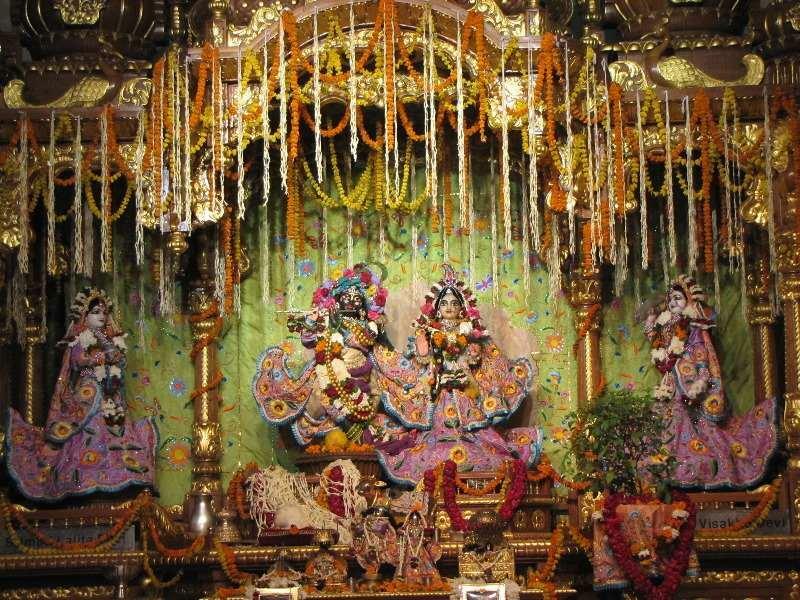 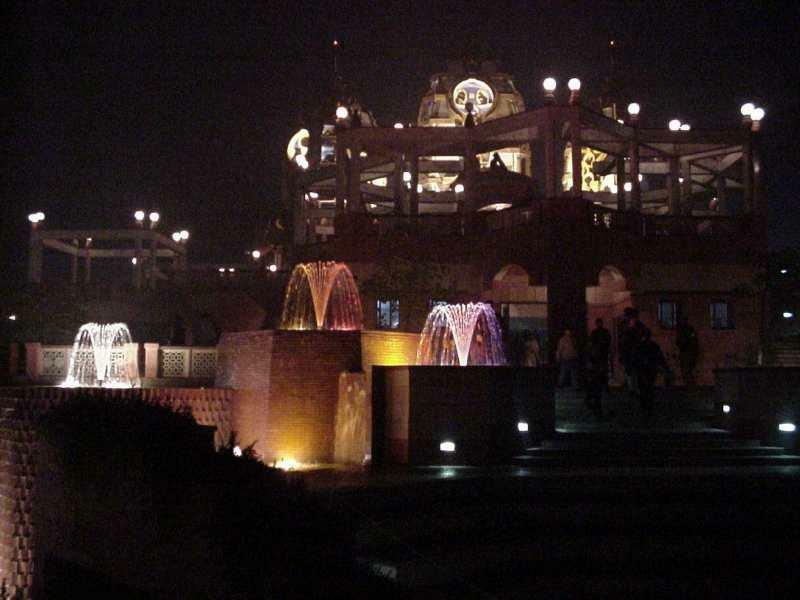 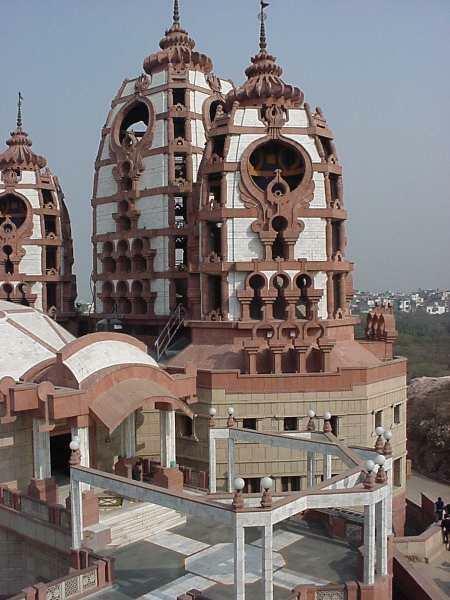 Sri Sri Radha Parthasarathi Mandir (Hindi: श्री श्री राधा पर्थसरथि मन्दिर ) or generally called as ISKCON Delhi temple is a famous Vaishnava temple of Lord Krishna and Radharani in the form of Radha Parthasarathi, Opened in 1998, it is located at Hare Krishna Hills, in the East of Kailash area of New Delhi, India. 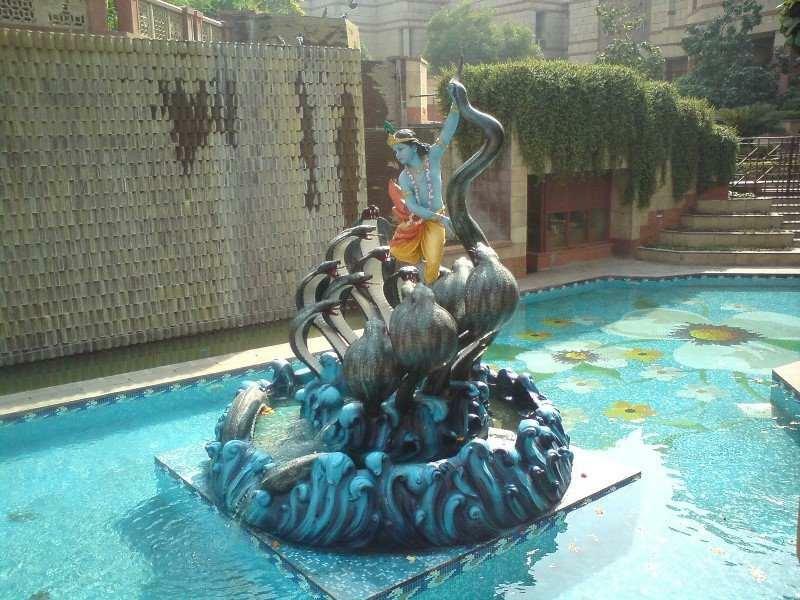 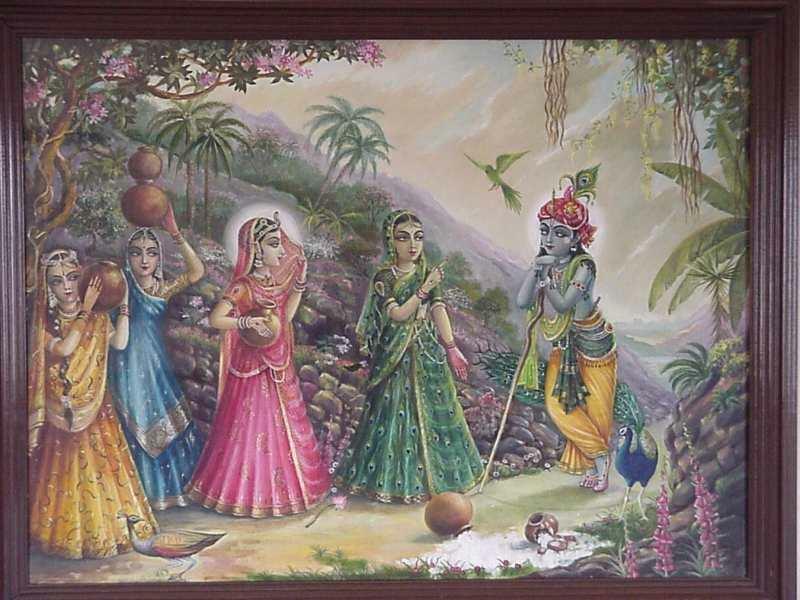 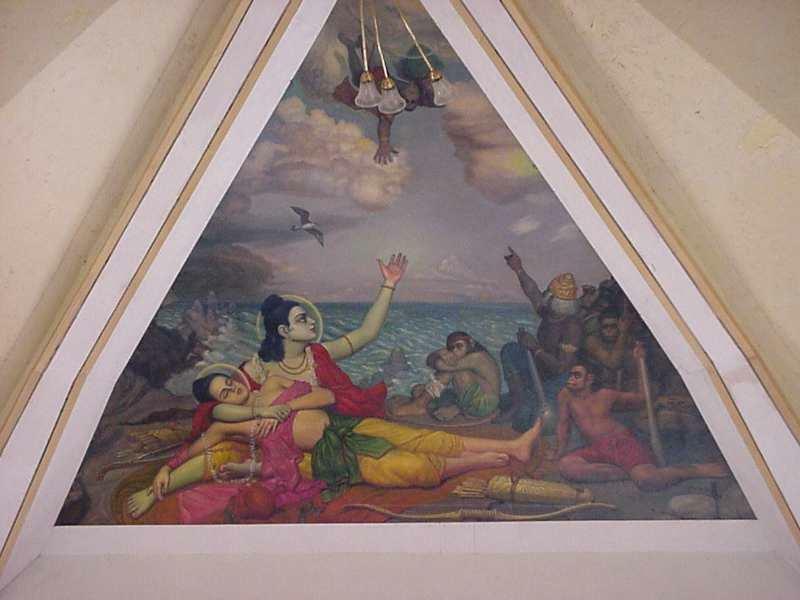 In Vaishnavism Lord Krishna is considered the 'most merciful' incarnation of the Supreme Personality of Godhead. 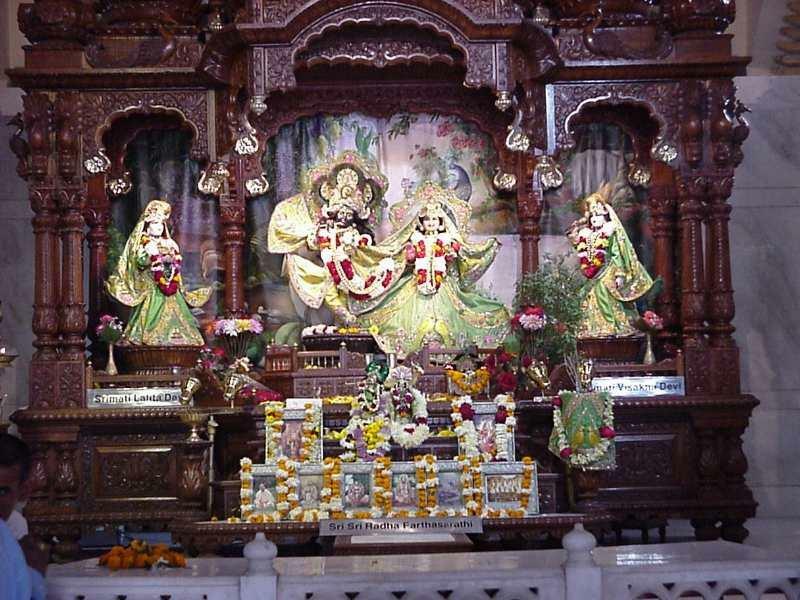 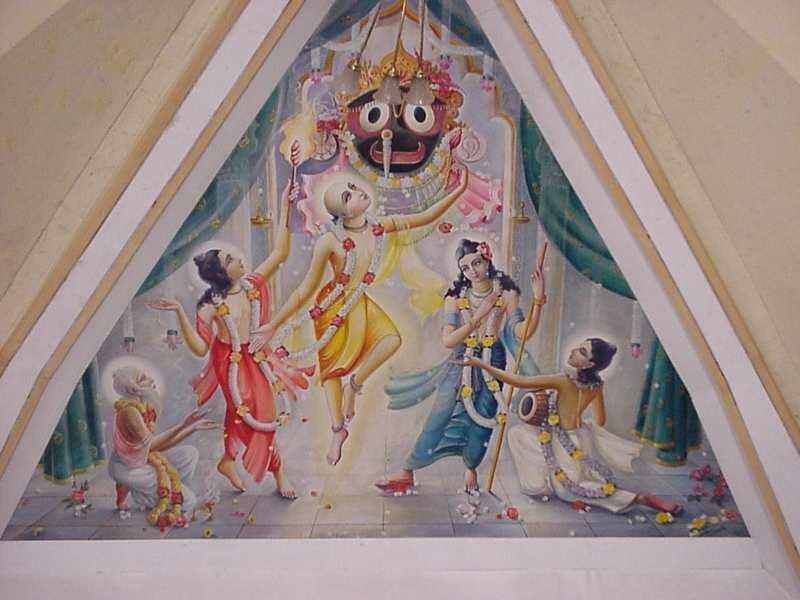 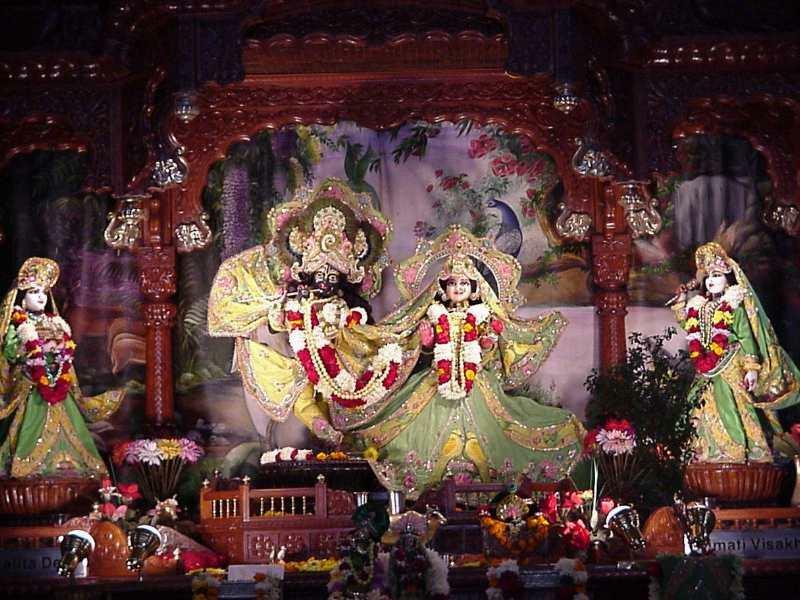 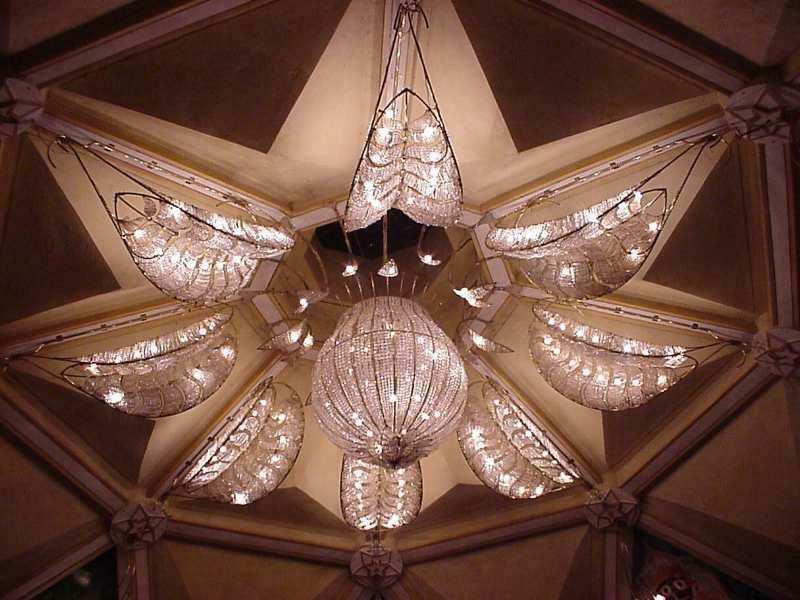 At Iskcon Temple very high standard of worship is followed. 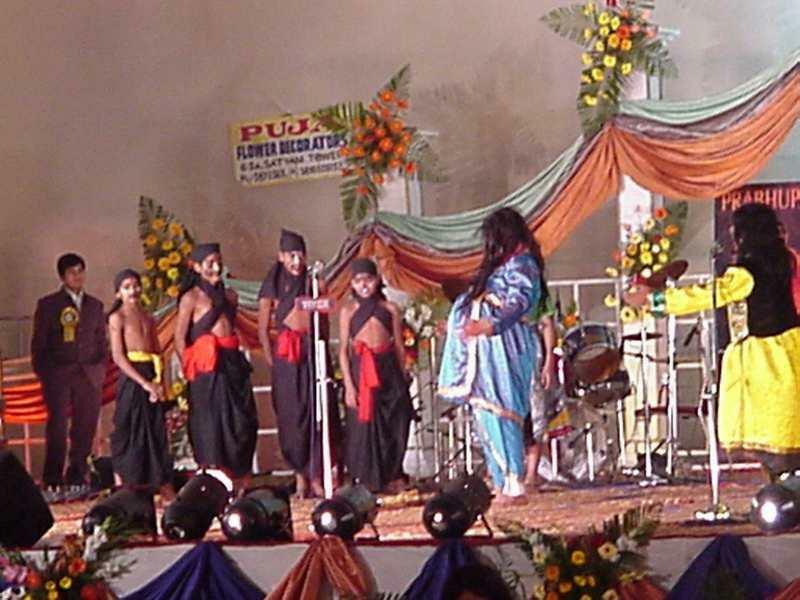 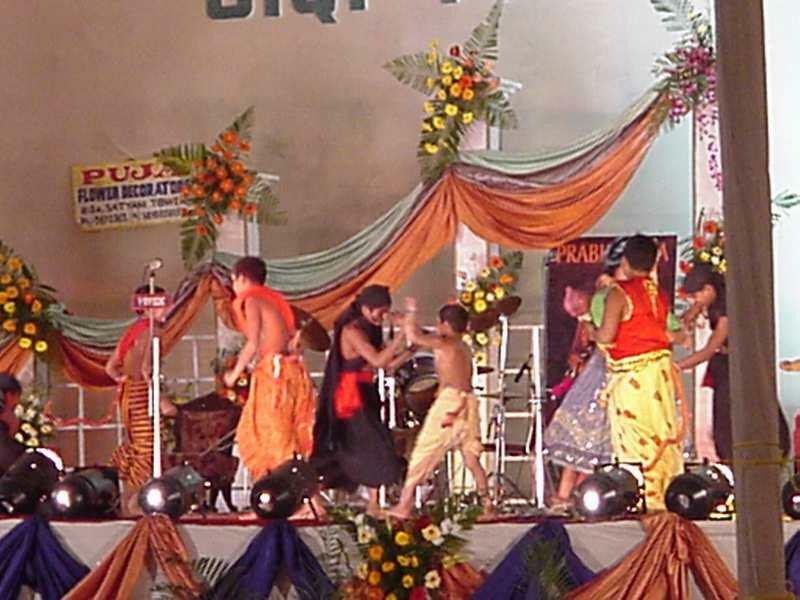 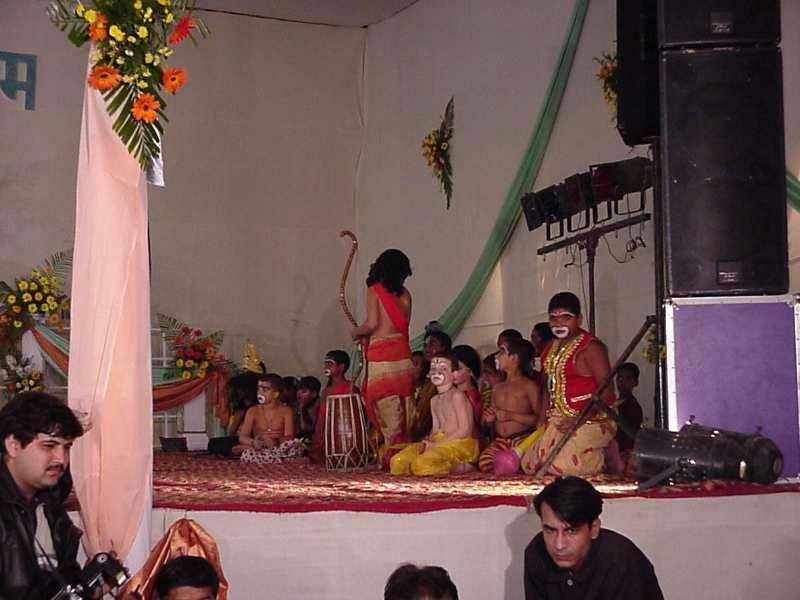 24 brahmanically trained pujaris worship the deities according to strict spiritual regulations. 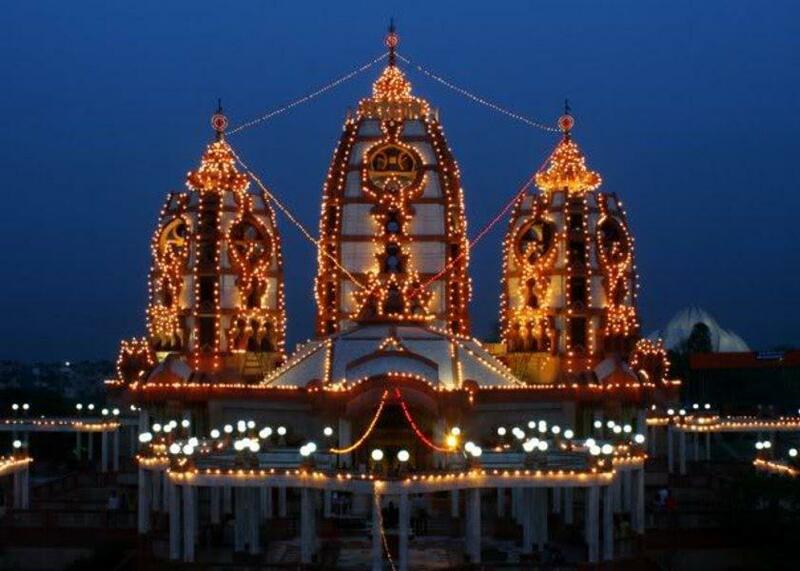 Six aartis are offered to the deities everyday which are Mangala Aarti, Dhoop Aarti, Raj-bhoga Aarti, Pushpa Aarti and Sandhya Aarti. 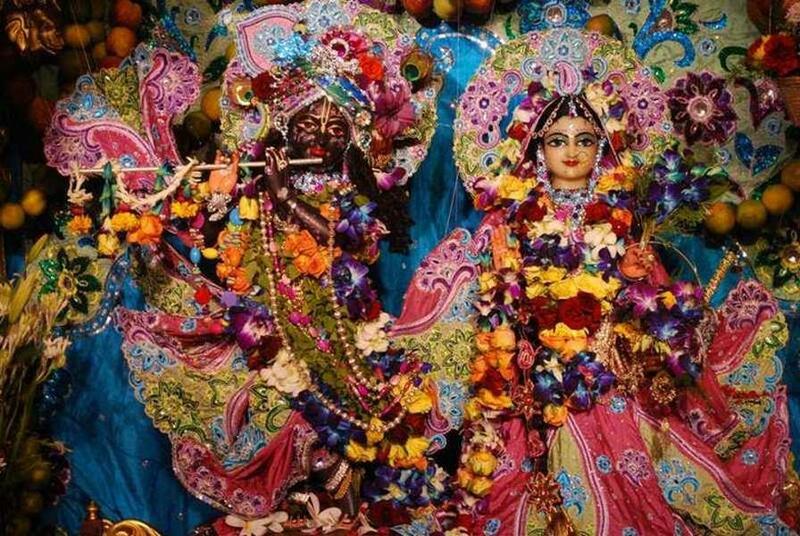 In Iskcon Temple festivals of Janmashtami, Ran Navmi, Gauri Purnima, Radhashtami and Govardhana are celebrated auspiciously. 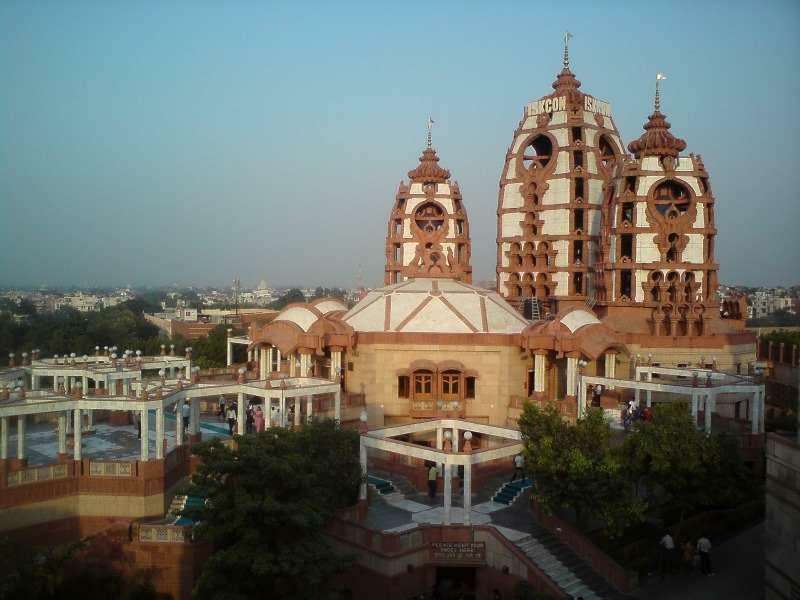 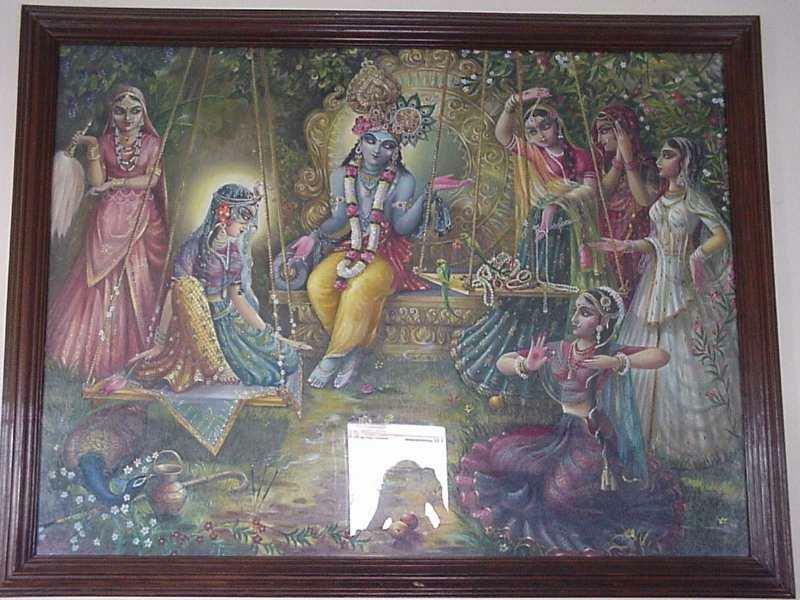 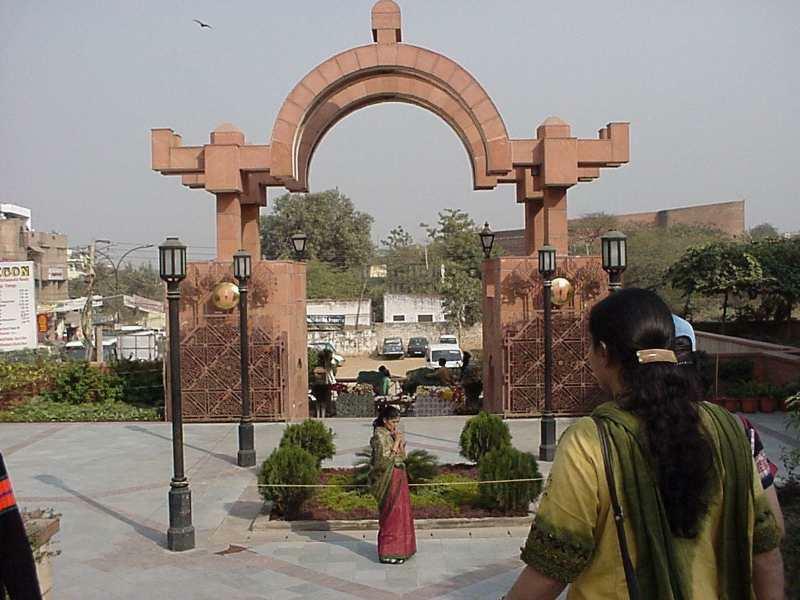 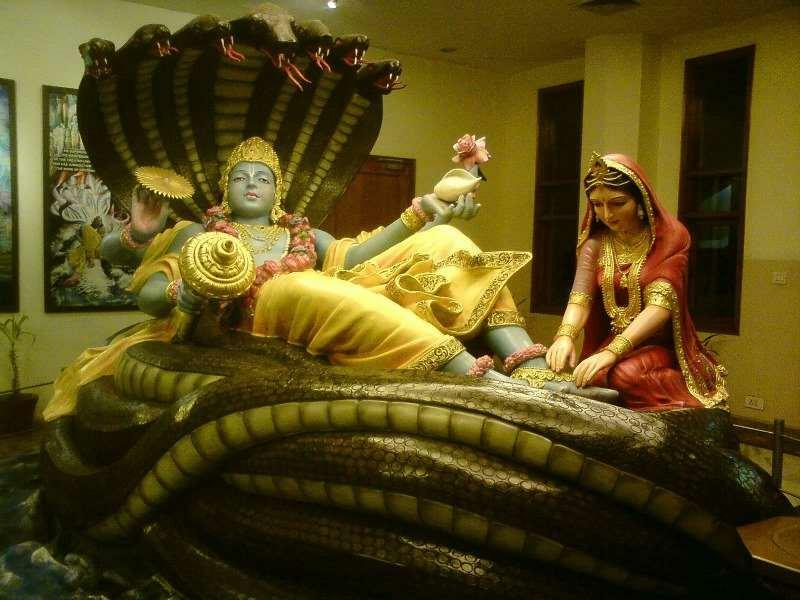 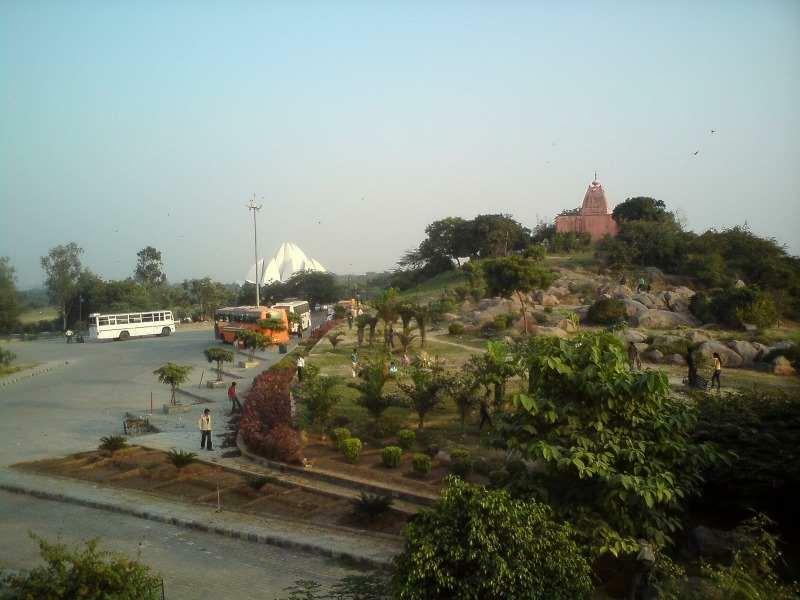 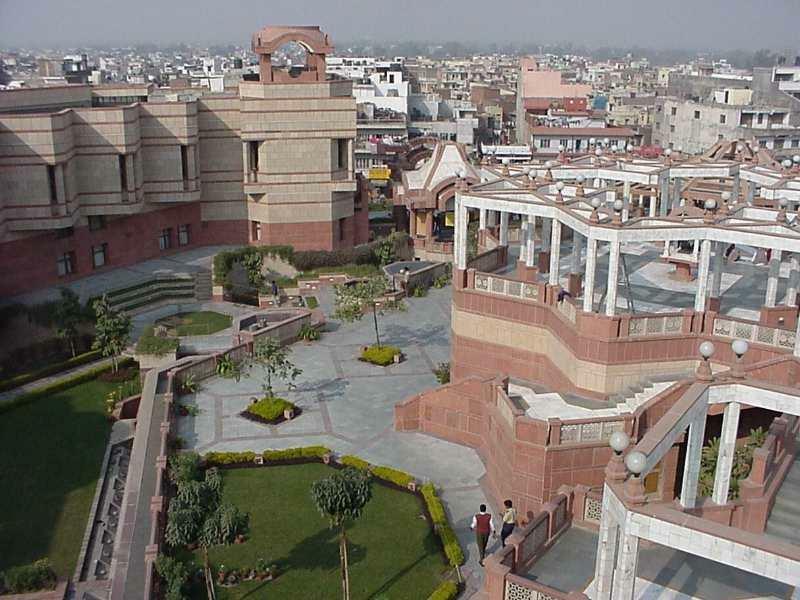 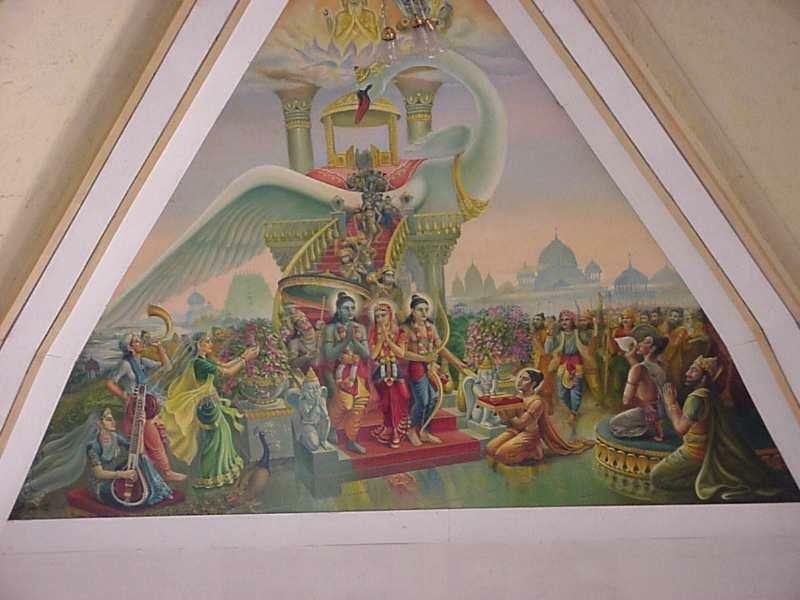 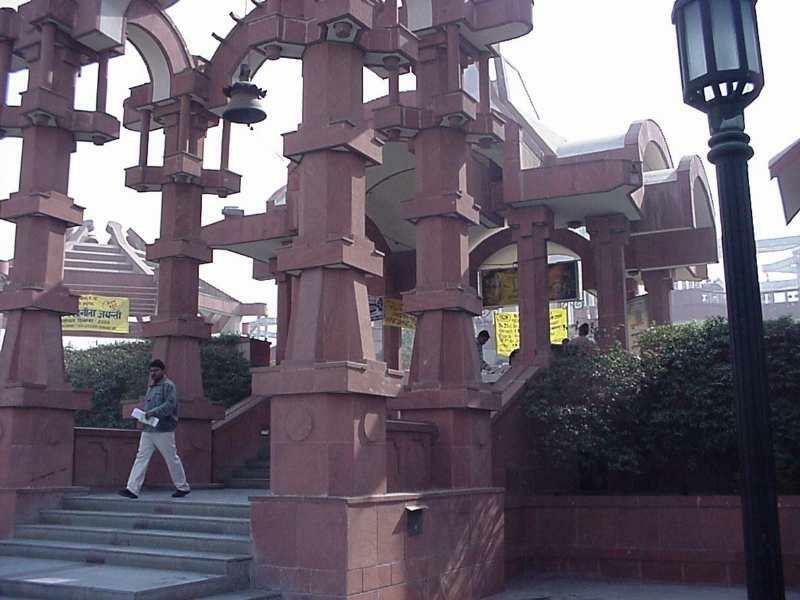 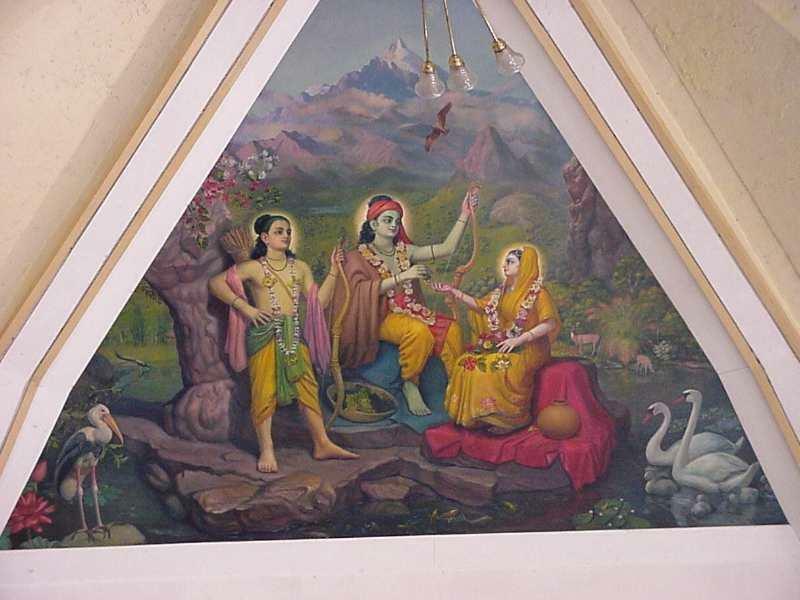 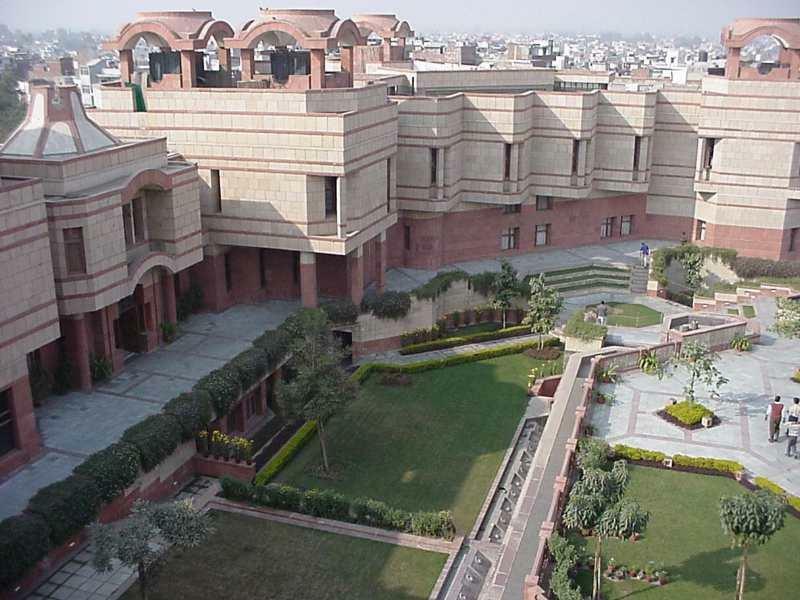 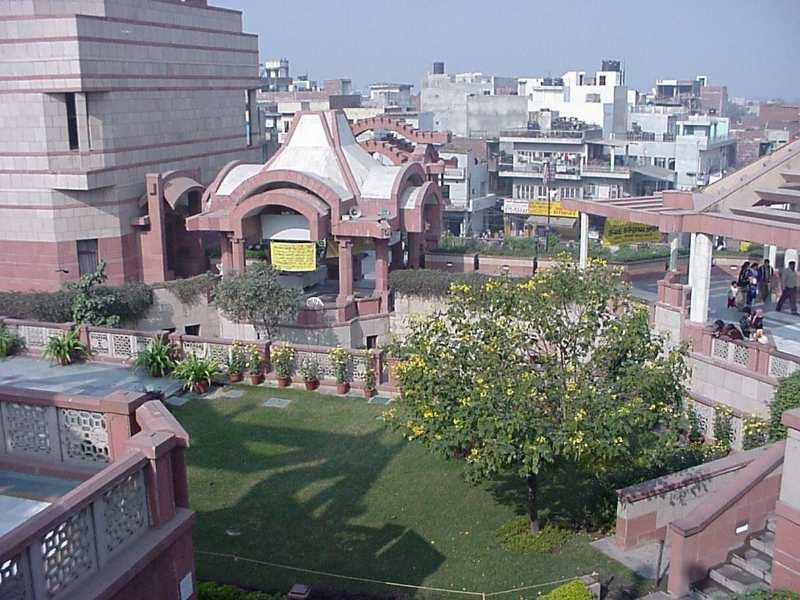 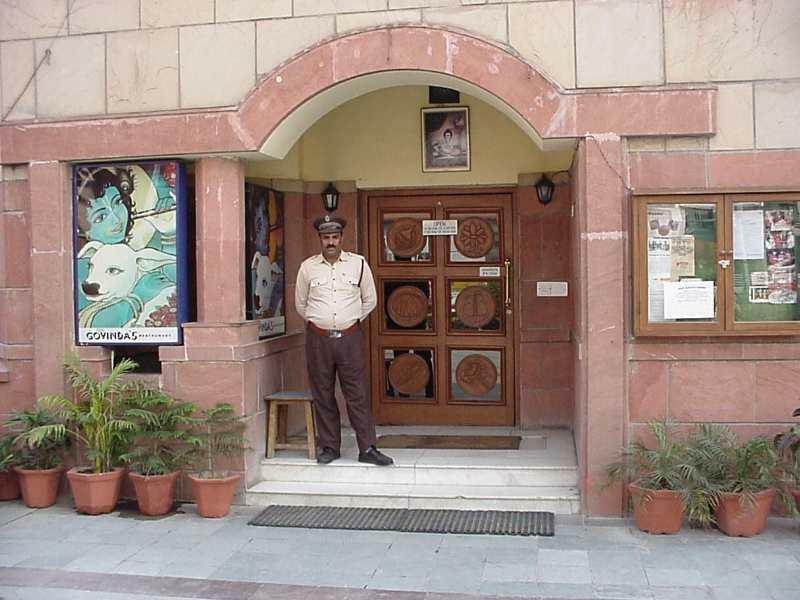 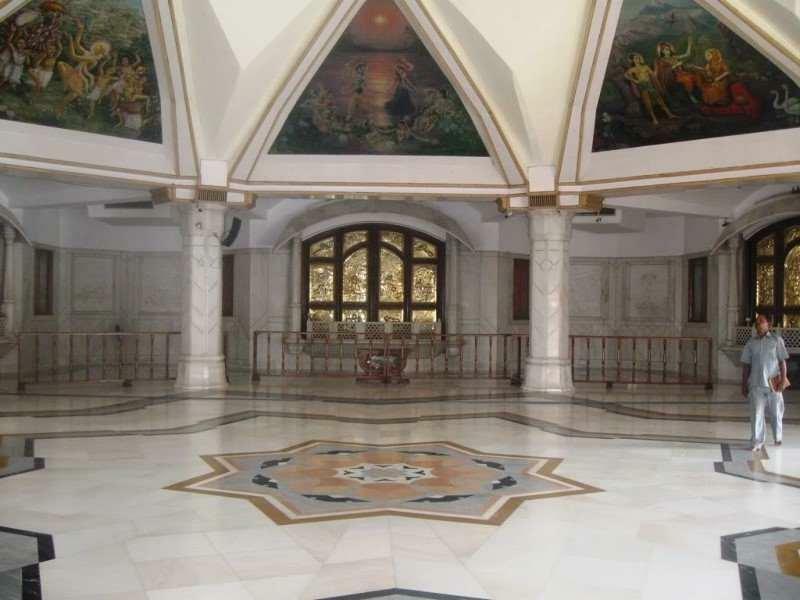 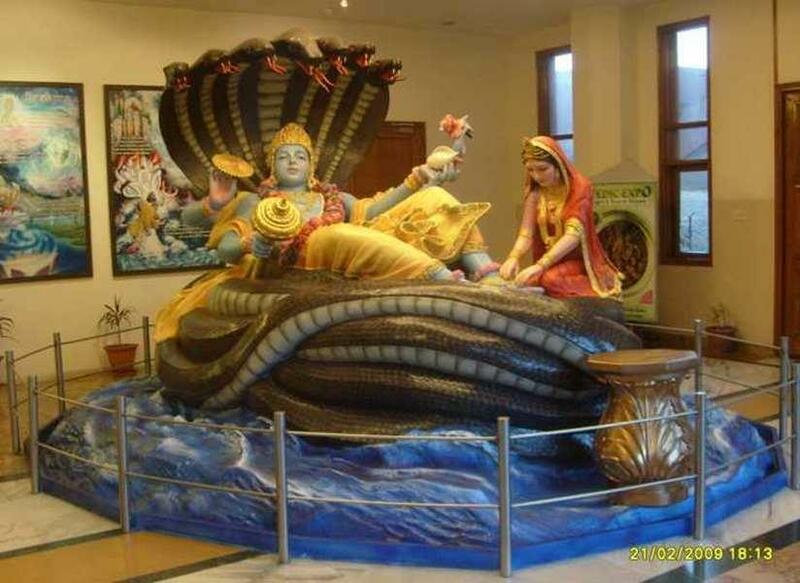 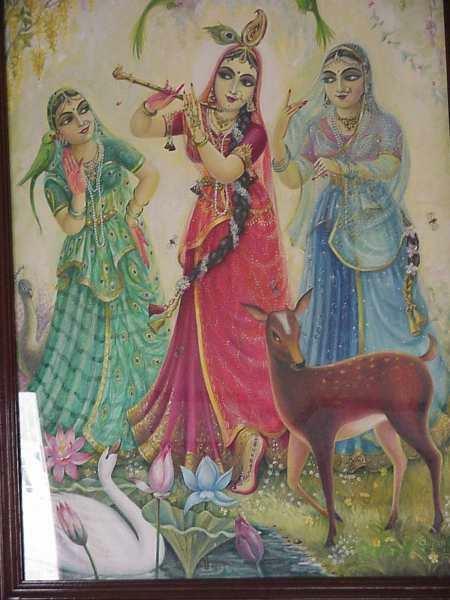 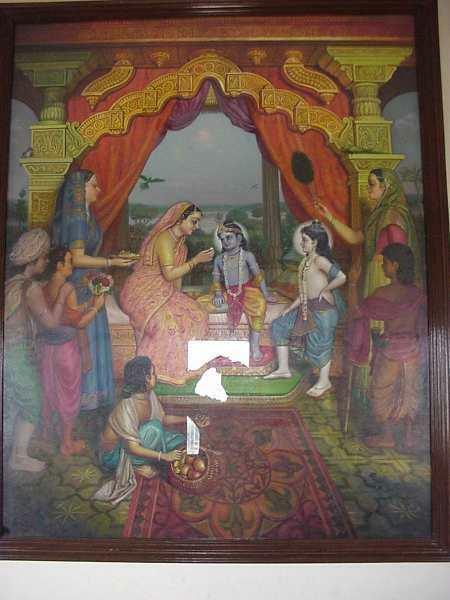 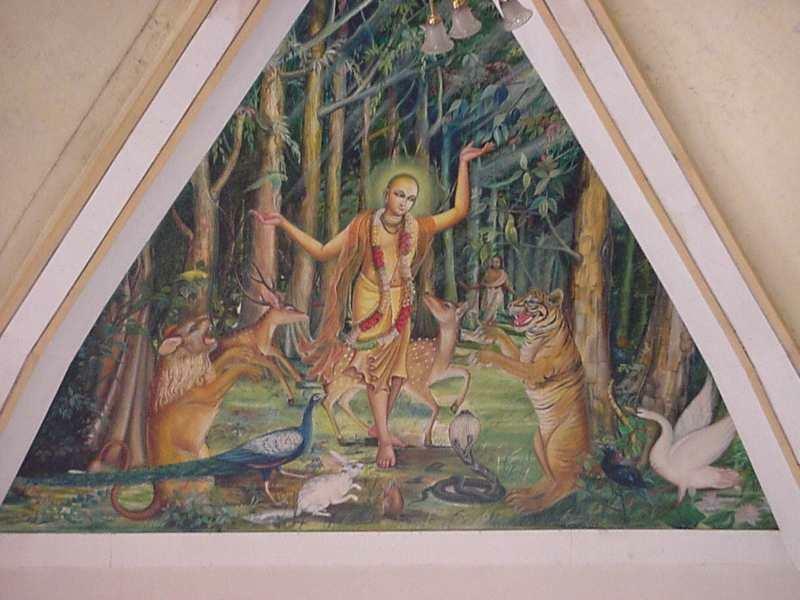 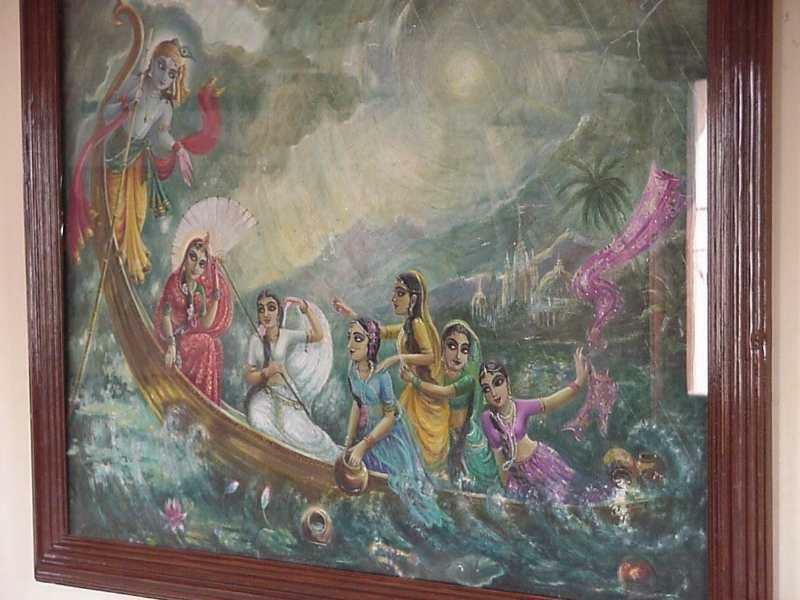 Vedic expo, an exhibition inside ISKCON Delhi, with its own museum and artifact collection, along with paintings and other exhibits intended to pass on the supreme knowledge of the Bhagavad-gita and familiarise modern audiences with the rich Vaishnava spiritual tradition of India. 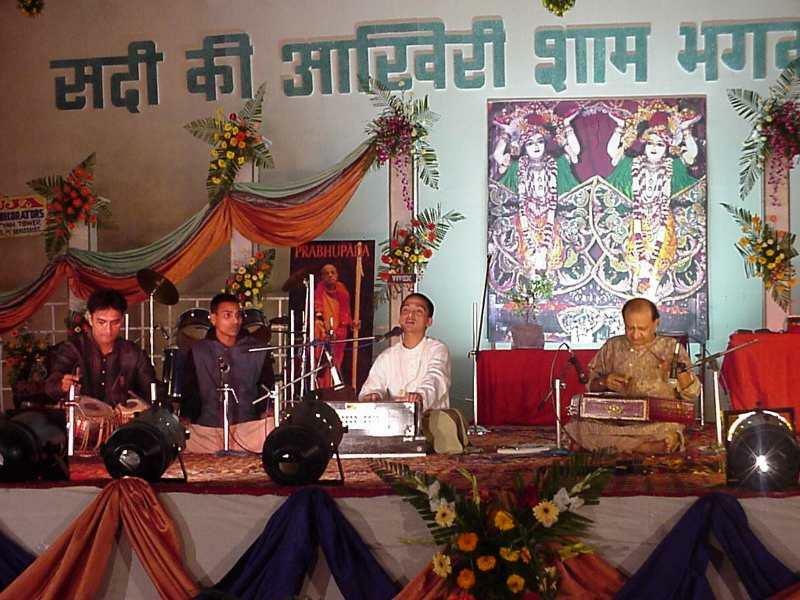 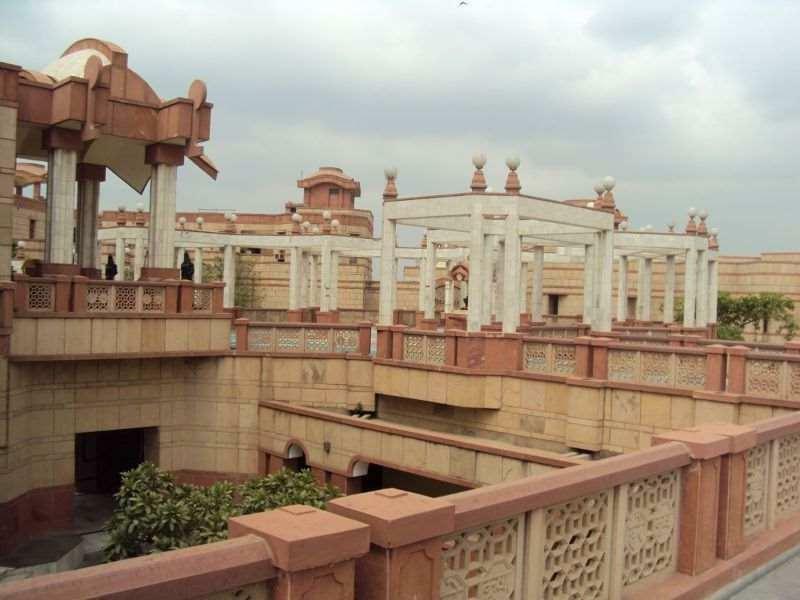 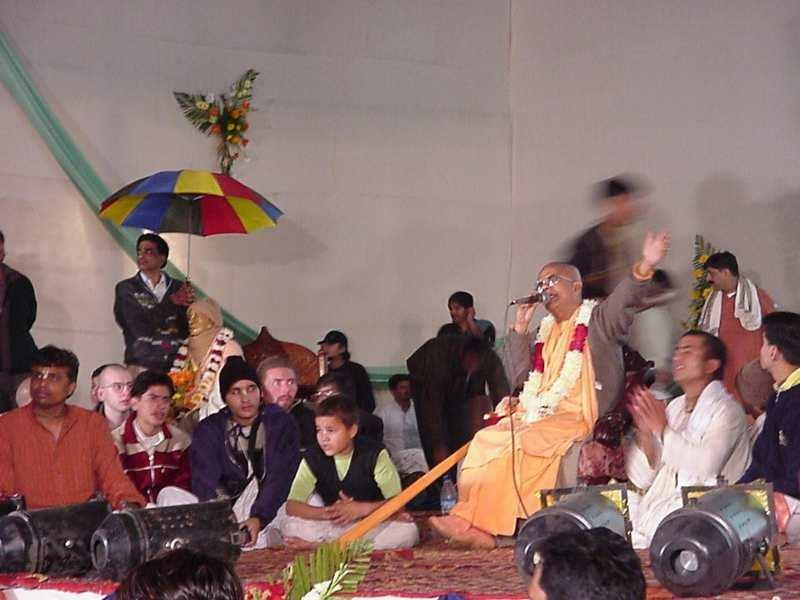 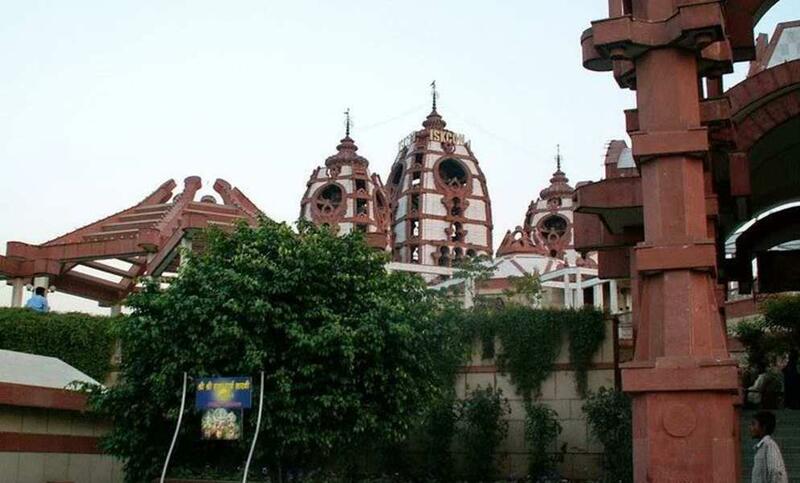 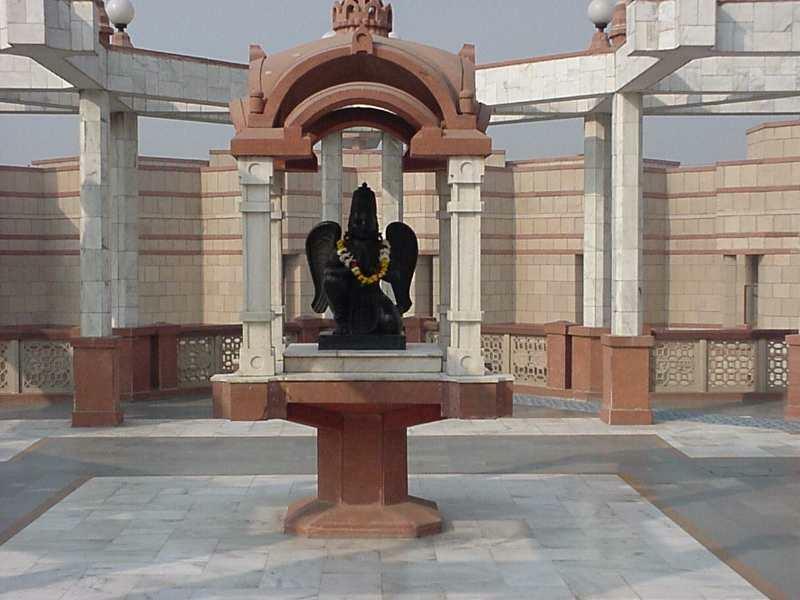 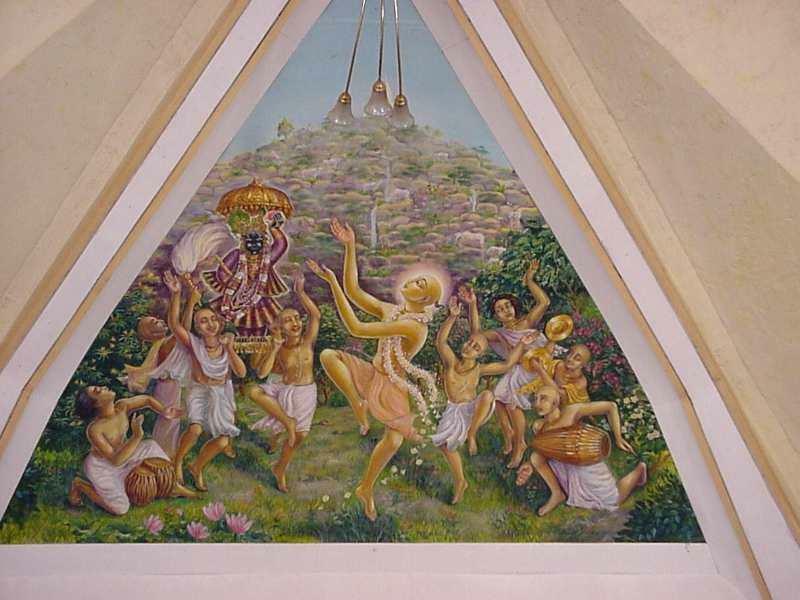 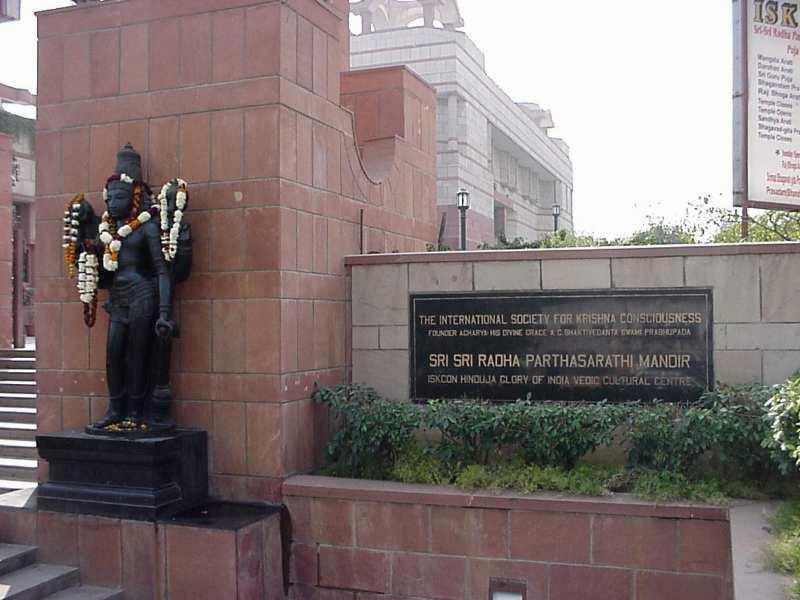 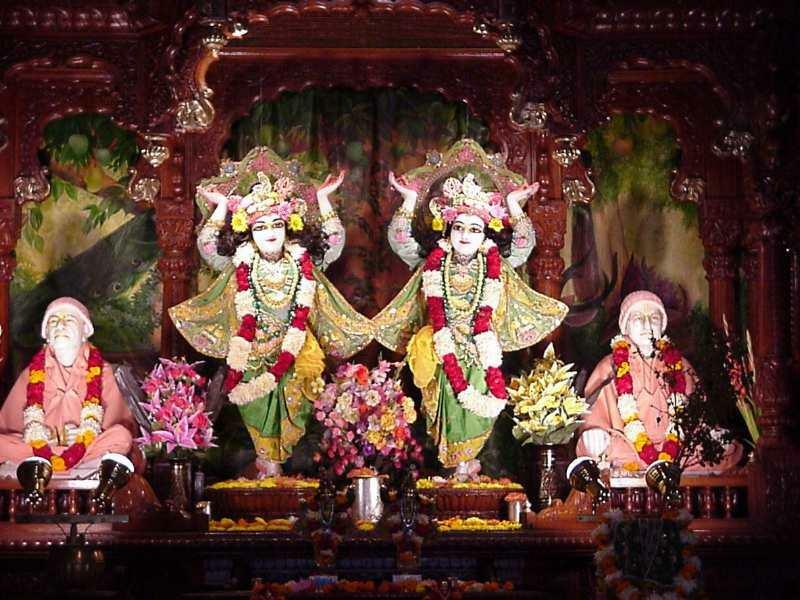 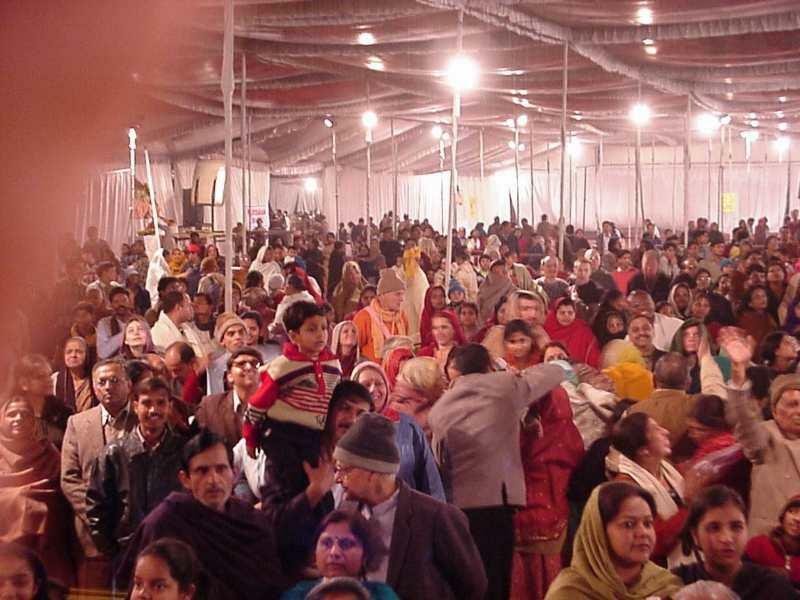 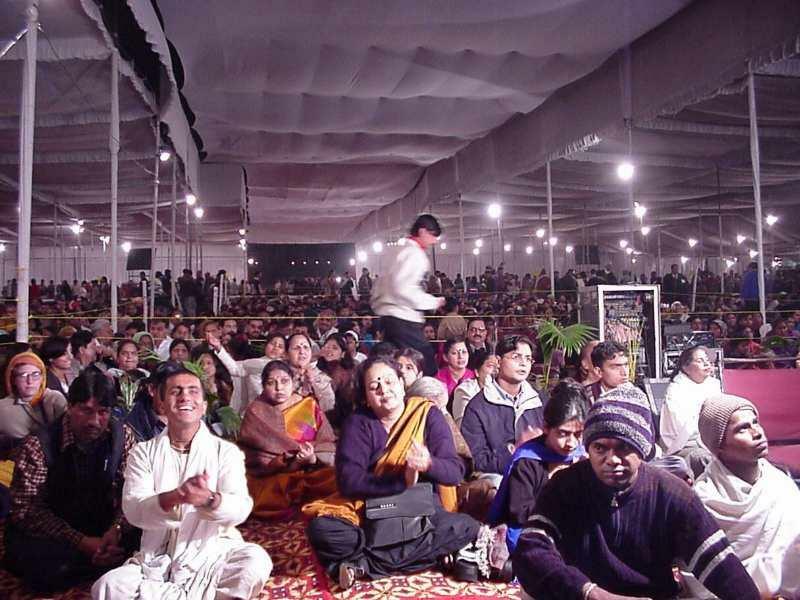 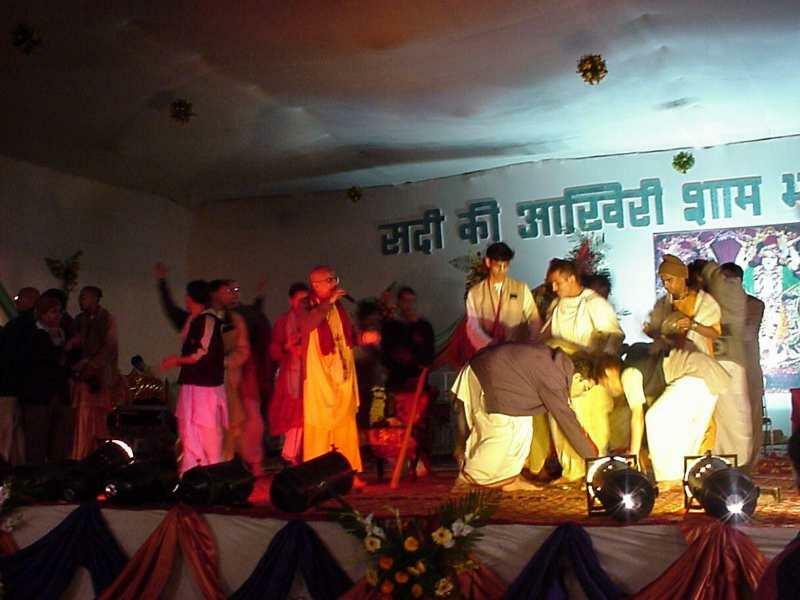 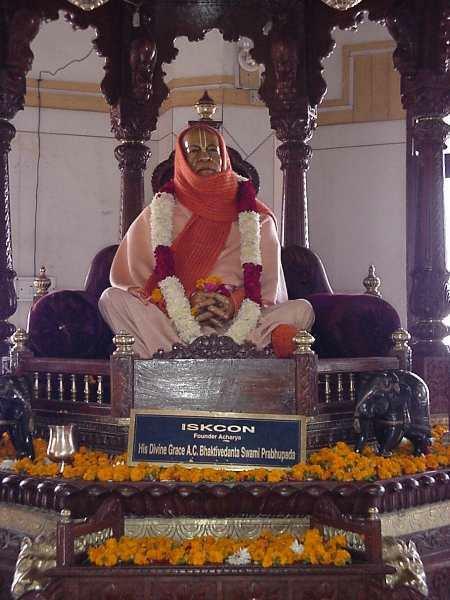 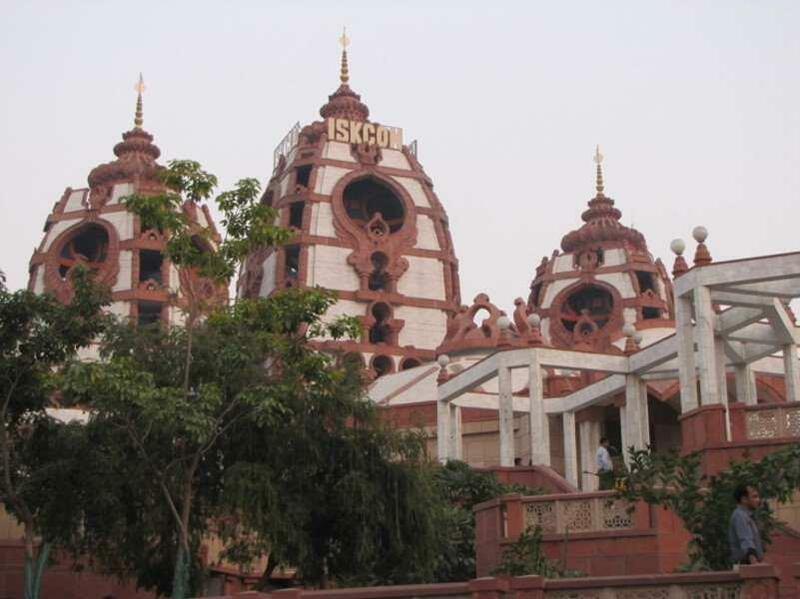 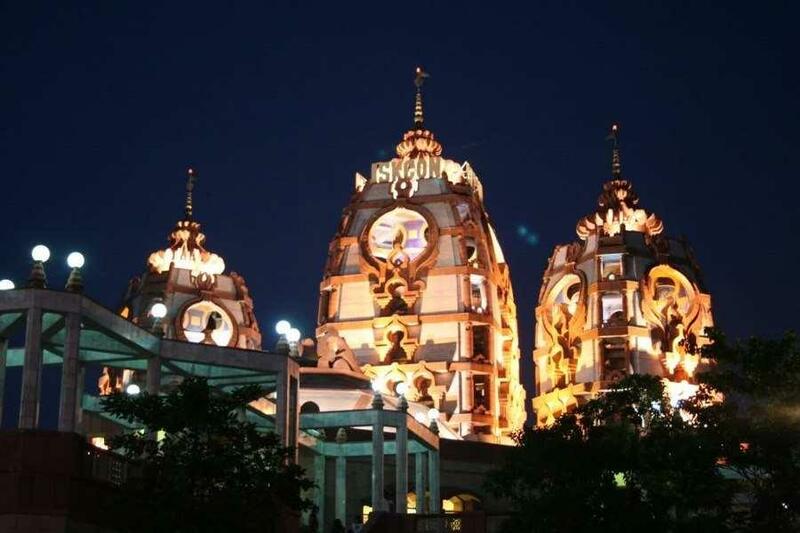 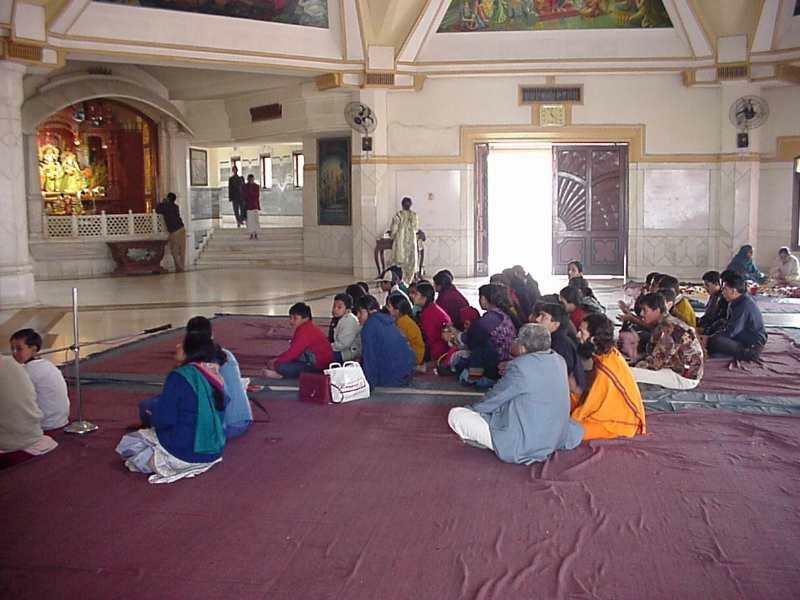 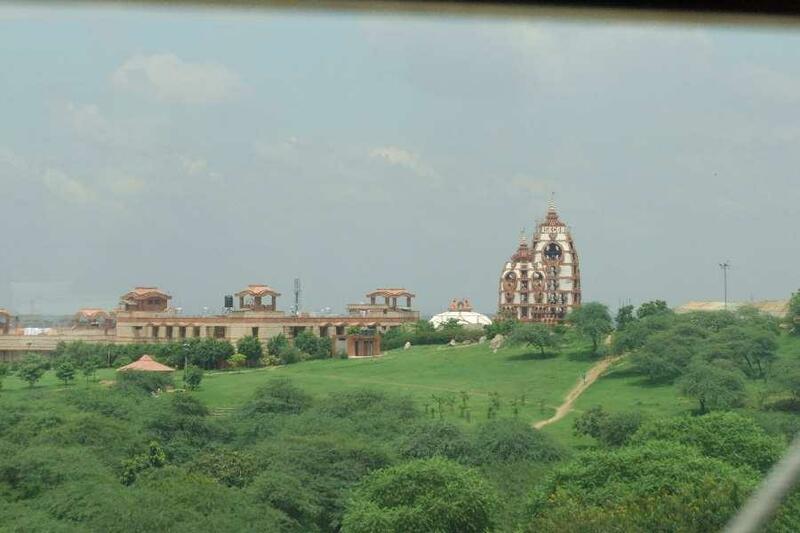 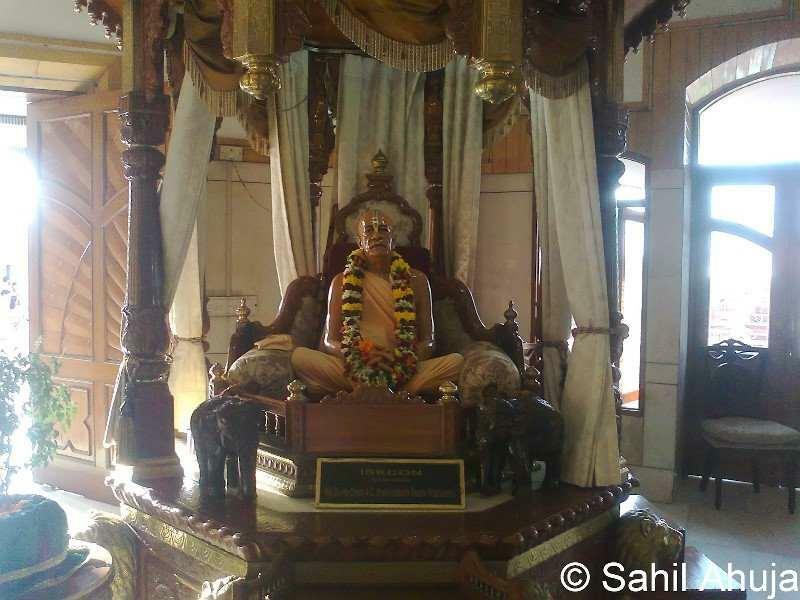 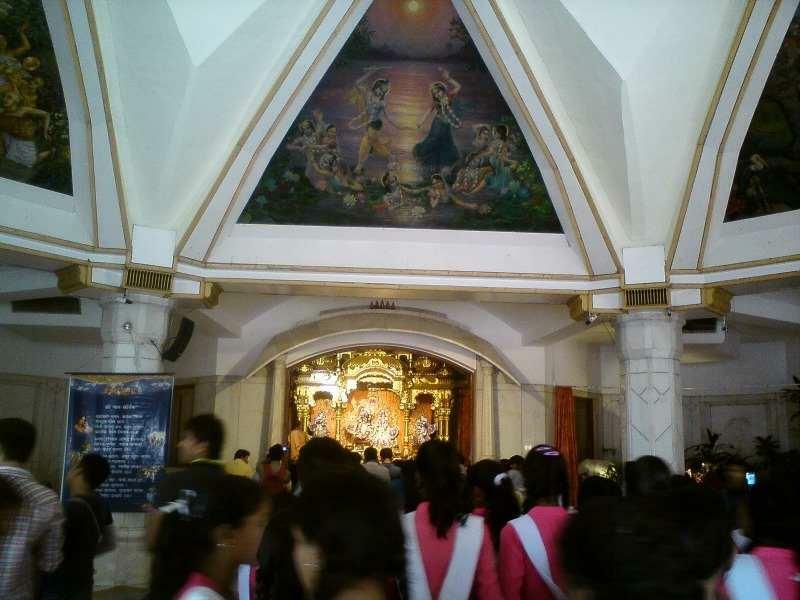 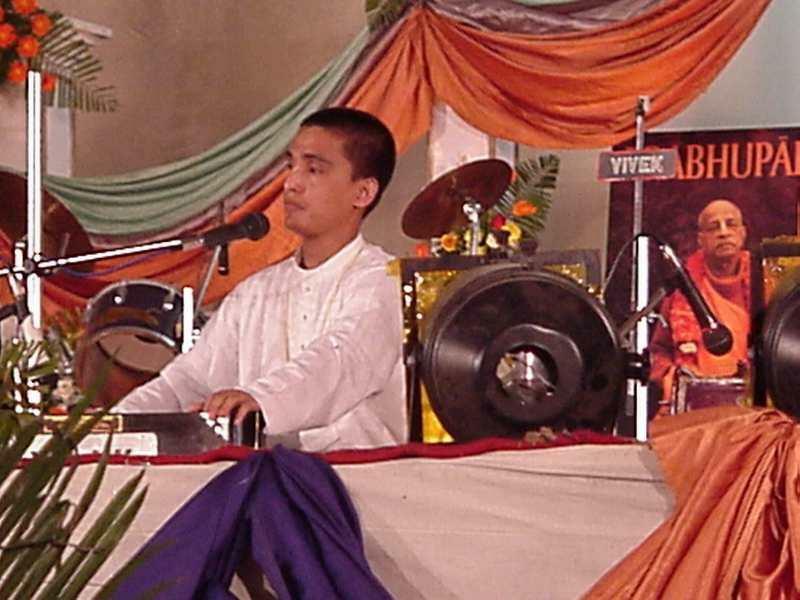 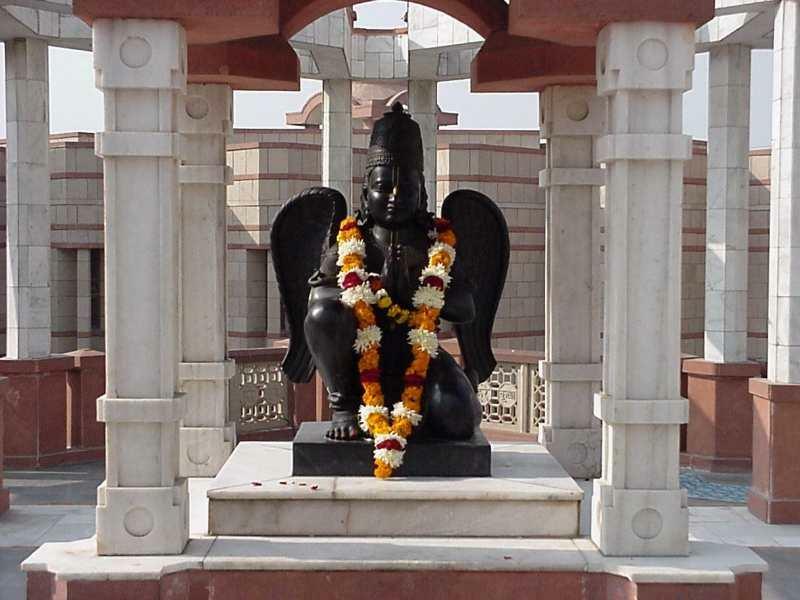 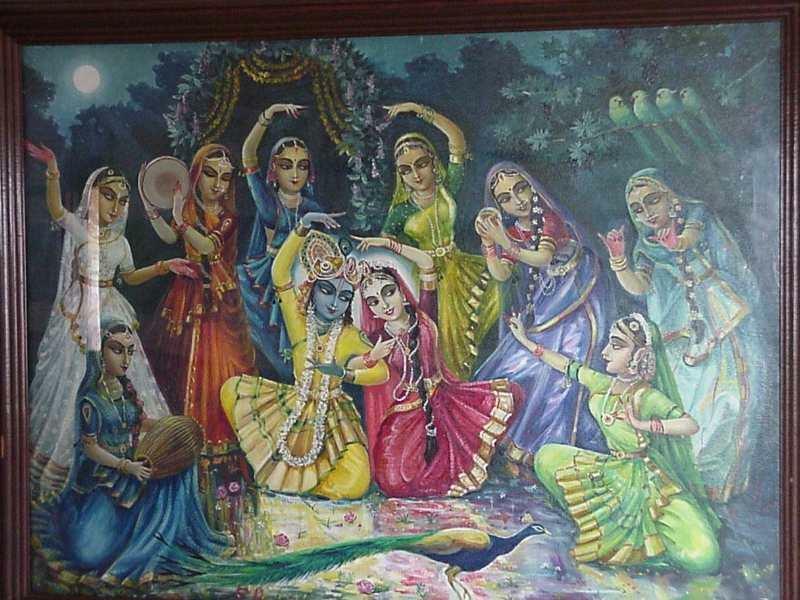 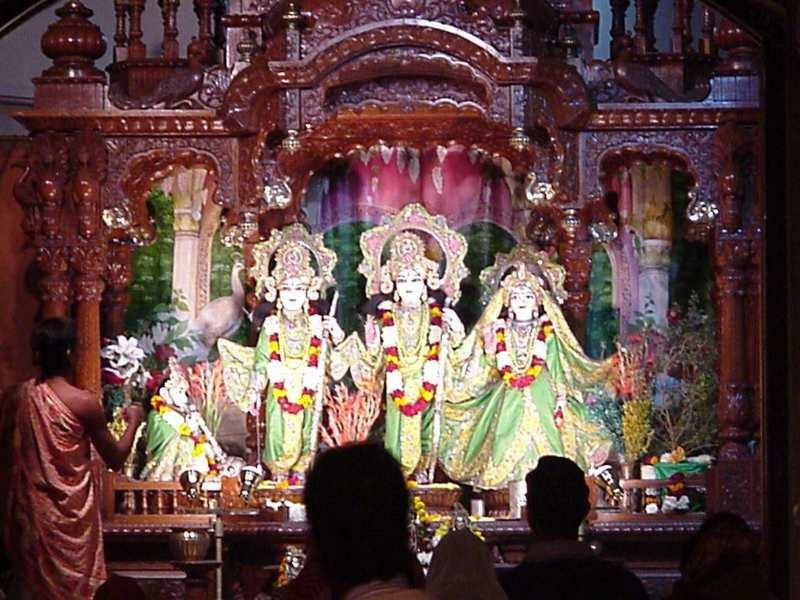 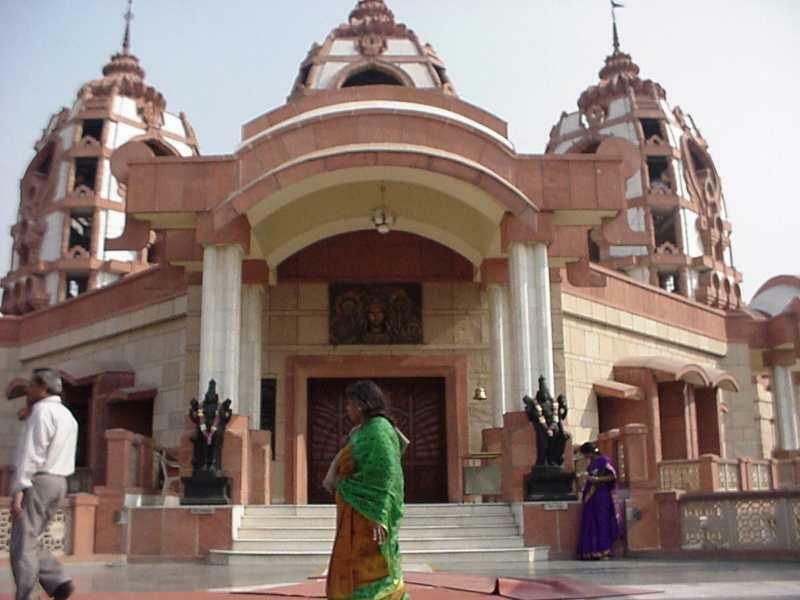 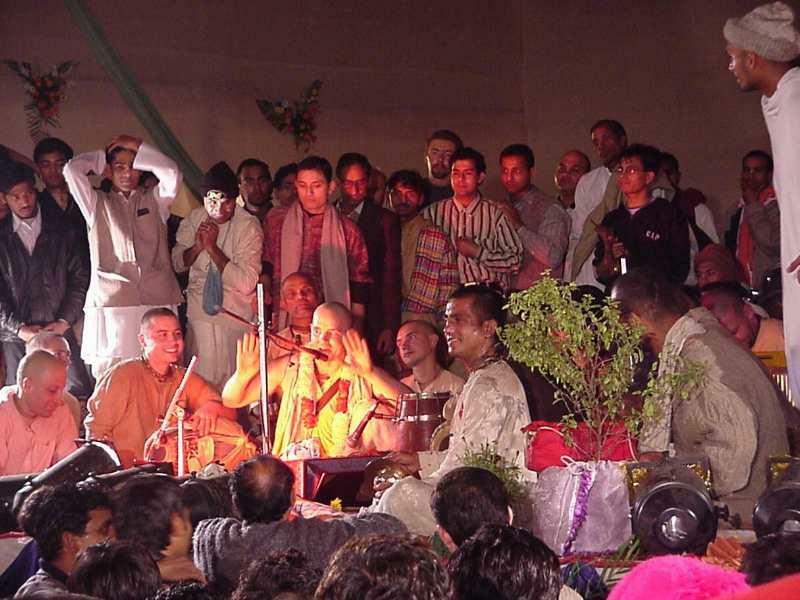 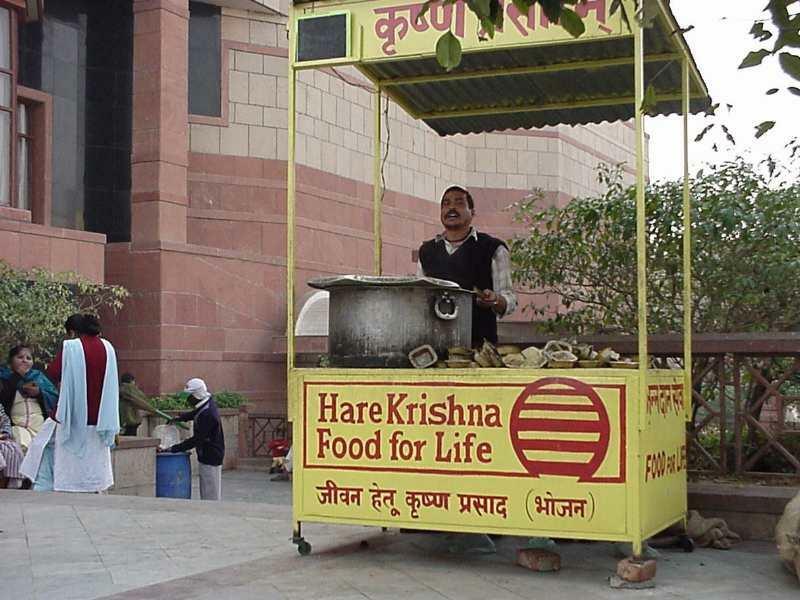 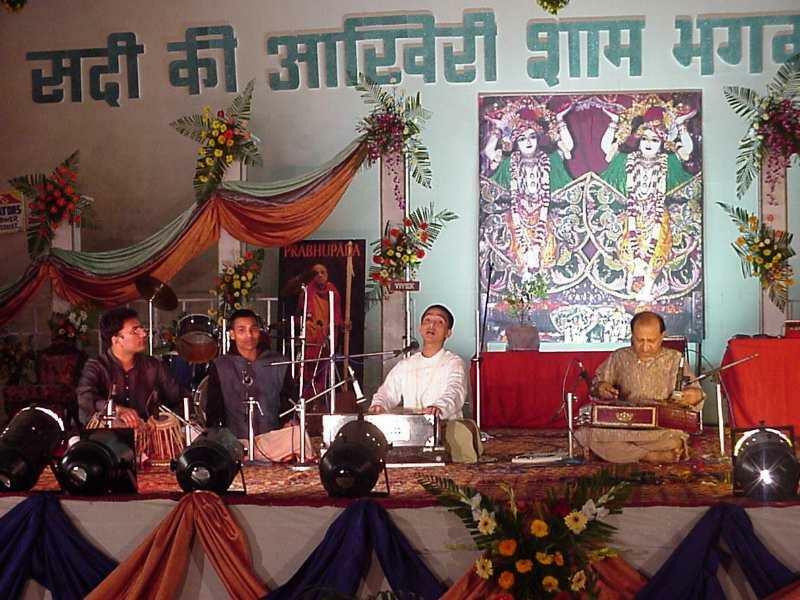 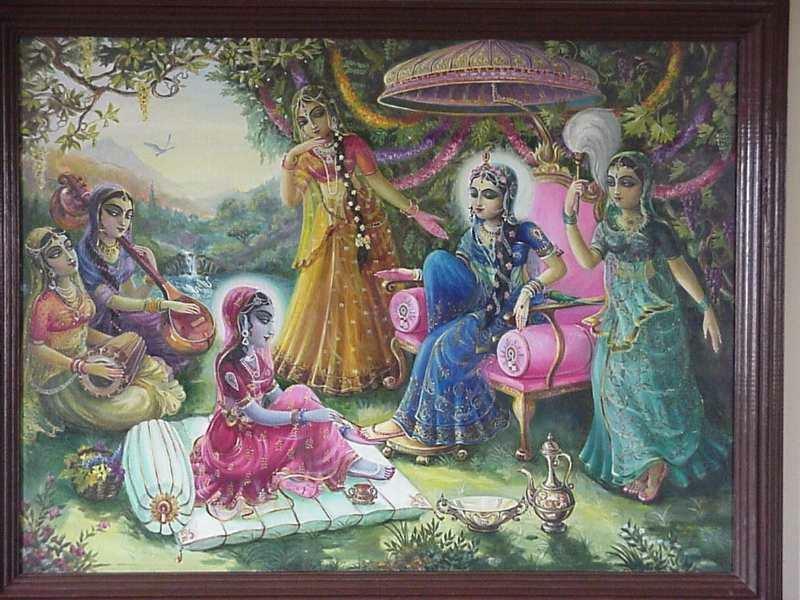 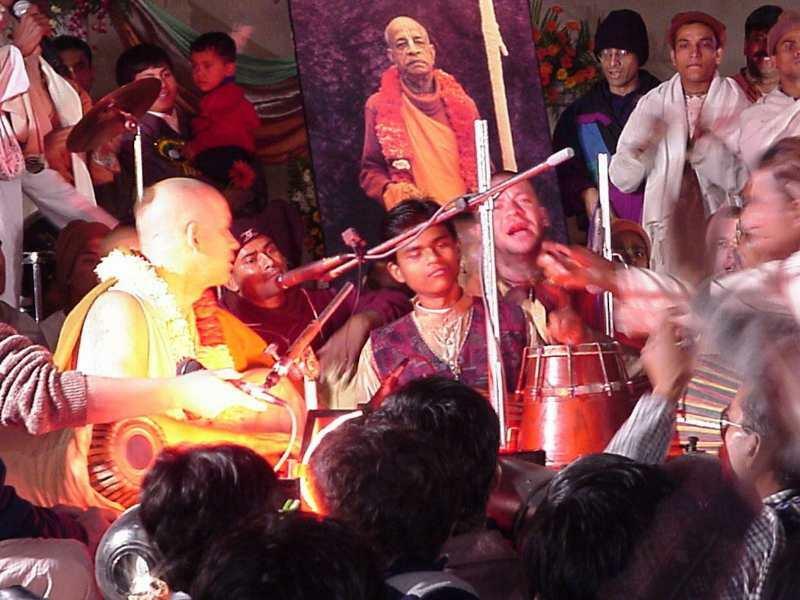 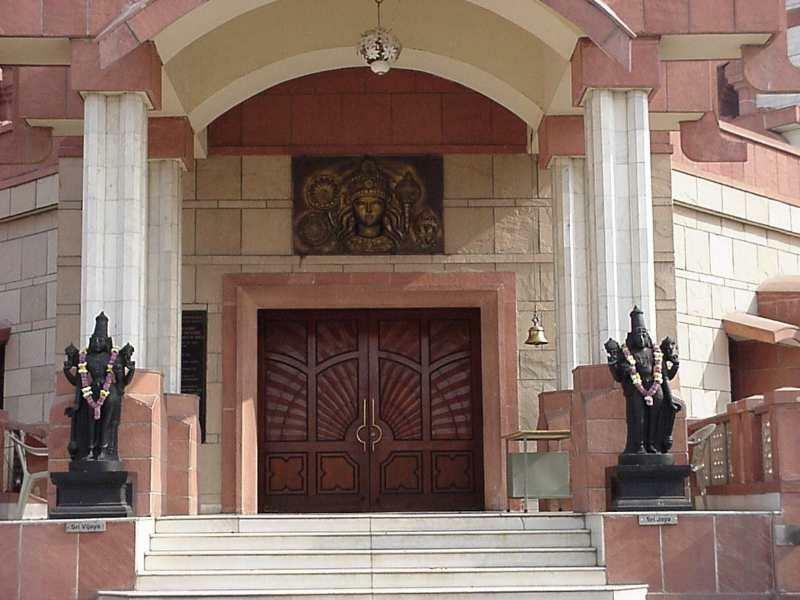 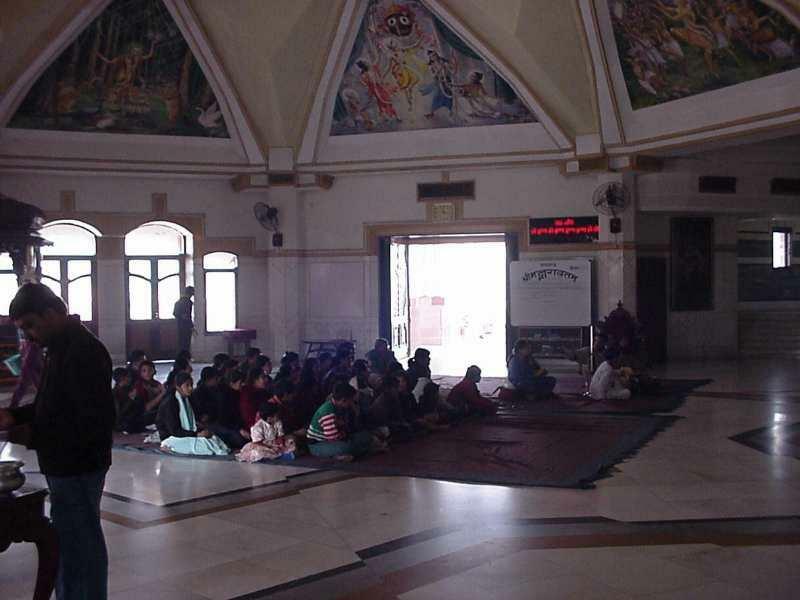 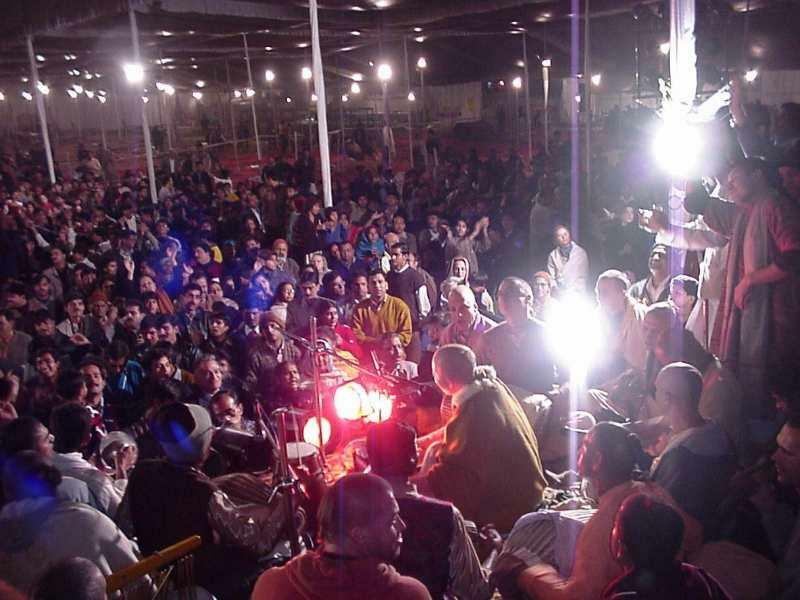 ISKCON, The International Society for Krishna Consciousness' attempt to "combine the West’s technology with the truths found in the Vedas" at their temple in New Delhi.